Abstract: Grill is a part placed on vehicle located in front of the Engine cooling module by means of bracket. The purpose of the Grill is to protect the cooling module from front impact and at the same time provide appropriate aesthetic value to the vehicle. This report presents the failure analysis of grill bracket of Engine cooling module of a Truck using Finite Element Analysis. The Grill bracket has failed in the field before warranty period so it has to be replaced with new one. Replacing old bracket means economic loss to the company. The Failure of this Grill bracket is analysed using Finite Element Analysis. 3 D models were created using Pro –E CAD softwares and Finite element analysis was done using Medina and Permas softwares. After doing Finite Element Analysis it was observed that high stresses were coming at failure location on the Grill bracket. The high stresses were mainly observed due to accelerations loads. Several proposals for alternate designs were created considering the packaging data, availability of the standard materials and manufacturing feasibility. These alternate designs were again checked by finite element analysis. The most optimized design was finalized through this process. The finalized design showed 60% lower stress values at failure location compared to current design. New proposed design was found to pass the given warranty period (100000 miles). Thus Finite element analysis proved to be very suitable tool for the situation where quick solution is expected. 1. C. A. Mesa, ‘The Engine Cooling System’. 6. S. Abdullah, N.A. Al-Asady, A.K. Ariffin and M.M.Rahaman, ‘A review of Finite element analysis approaches in Durabilty assessment of Automotive components’, Journal of Applied Sciences, 8: 2192-2201, 2008. Abstract: The forward problem of EEG deals with estimation of electrical potential difference measured over the scalp generated due to neural activity inside the brain. These signals measured over scalp are highly affected by the head characteristics taken into account. This work envisages the effect of taking white matter and gray matter into account while solving the forward EEG problem. The work shows that a five layered head model, comprising scalp, skull, cerebrospinal fluid, gray matter and white matter, is more accurate in finding forward EEG solution in comparison to a four layered comprising scalp, skull, CSF & Brain or three layered head model represented by scalp, skull & brain. Keywords: EEG, Forward Problem, Head Model. 1. P. Wen, “Human Head Modelling and Computation for the EEG Forward Problem,” PhD Dissertation, The Flinders University of Western Australia, Australia, 2000. 2. J. C. de Munck, M. J. Peters, “A fast method to compute the potential in the multisphere model,” IEEE Transaction on Biomedical Engineering, vol. 40, pp. 1166–1174, 1993. 3. H. Hallez, B. Vanrumste, P. Hese, S. Delputte, I. Lemahieu, “Dipole estimation errors due to differences in modeling anisotropic conductivities in realistic head mdels for EEG source analysis,” Journal of Physics in Medicine and Biology, vol. 53, no. 7, 2008. 4. J. Mosher, R. Leahy, P. Lewis, “EEG and MEG: Forward Solutions for Inverse Methods,” IEEE Tran. on Biomedical Engineering, Vol. 46, No. 3, 1999. 5. E. Franck, “Electric potential produced by two point current sources in a homogenous conducting sphere,” Jounal of Applied Physics, Vol. 23, No. 11, pp.1225-1228, 1952. 6. D. Geselowitz, “On bioelectric potentials in an inhomogeneous volume conductor,” Biophysics, vol. 7, pp.1-11, 1967. 7. Y.K. Alp, O. Arikan, S. Karakas, “Dipole Source Reconstruction of Brain Signals by Using Particle Swarm Optimization,” IEEE International Conf. on Acoustics, Speech and Signal Processing, 2009. 8. R.S. Hosck, A. Sances, Jr. R. W. Jodat. S. J. Larson, “The contributions of intracerebral currents to the EEG and evoked potentials,” IEEE Trans. on Biomedical Engineering, vol. 25, pp.405-413, 1978.9. M. Huerta, G. Gonzalez, “The surface potentials produced by electric sources in stratified spherical and spheroidal volume conductors,” International Jounal Electronics, vol.54, pp.657-671, 1983. 10. J.C. de Munck, “The potential distribution in a layered anisotropic spheroidal volume conductor,” Jounal of Applied Physics, vol. 64, pp. 464–470, 1988. 11. Md R. Bashar, Y. Li, P. Wen, “Effects of White Matter on EEG of Multi-layered Spherical Head Models”, IEEE Conf. on Electronics & Computer Engineering, 2008. 12. J.P. Ary, S.A. Klein, D.H. Fender, “Location of sources of evoked potential: Corrections for skull and scalp thicknesses,” IEEE Trans. on Biomedical Engineering, vol. 28, no. 6, 1981. 13. C.H. Wolters, “Influence of Tissue Conductivity Inhomogeneity and Anisotropy on EEG/MEG based Source Localization in the Human Brain,” PhD dissertation, University of Leipzig, France, 2003. 14. H. Hallez, B. Vanrumste, P. Van Hese, Y. D’Asseler, I. Lemahieu, R. Van de Walle, “A finite difference method with reciprocity used to incorporate anisotropy in electroencephalogram dipole source localization”, Journal of Physics in Medicine and Biology, vol 50, pp. 3787-3806, 2005. 15. Z. Zhang, “A Fast Method to Compute Surface Potentials Generated Dipoles within Multilayer Anisotropic Spheres,” Jounal of Physice in Medicine and Biology, vol. 40, pp. 335-349, 1995. 16. Mingui Sun, “An Efficient Algorithm for Computing Multishell Spherical Volume Conductor Models in EEG Dipole Source Localization,” IEEE Trans. on Biomedical Engineering, vol. 44, No. 12, 1997. Abstract: Digital Watermarking has become essential and prime need for multimedia industry, internet users and digital data authentication fields. With rapid growth of digital data, we have problems related to security and copyright authentication .These increased use of digital data creates new challenges for document owners and their reliable customers. Digital Watermarking has provided global and cost effective solution for digital image communication. In this paper a robust digital watermarking algorithm based on Joint DWT-DCT Transformation is proposed. A secrete message is scrambled and embedded in DWT-DCT coefficients of host image. Uncompressed digital watermark images need a lot storage capacity and bandwidth. For efficient image transmission needs image compression. Then watermarked data is used for desired application by channel communication. 1. A.M.Kothari, A.C.Suthar, R.S.Gajre. “ Performance Analysis of Digital Image Watermarking Technique –Combined DWT–DCT over individual DWT” , Published in International Journal of Advanced Engineering & Applications, Jan. 2010. 3. Suthar A.C., Patel C.B. and Kulkarni G.R., “Implementation Of Image Security Issues Using Mixed Frequency Domain Scheme” in International Transactions on Electrical, Electronics and Communication Engineering,2011. journal for Research, Paripex, 2012. 5. S. AI Zahir & W.Islam ,”A New Wavelet Based Image Watermarking Technique” International Conference on Consumer Electronics, IEEE 2011. 6. K. J. Raval & S. Zafar, “Digital Watermarking With Copyright Authentication for Image Communication’’, International Conference on Signal and Image Processing, ISSP-2013. Abstract: In the present work deals with the simulation of fractal growth patterns in electrodeposition (Diffusion limited aggregation) using concept of off lattice random walk.The simulation of electrodeposition under different electric field conditions is implemented to simulate the growth of dendritic patterns in circular cell geometry. The DLA growth in circular cell geometry is under the influence of two main driving forces, namely, the random Brownian motion of the ions and the radial ionic motion due to the applied electric field. In the simulation, the effect of radial movement of ions is superimposed over the zigzag random motion of the ions in the electrolyte. The relative influence of the random motion and radial motion is controlled by introducing a biasing parameter. It is observed that the growth patterns with lower values of bias (corresponding to lower electric field) are less crowded with limited branching and more closely resemble true DLA. As the electric field is increased (higher value of B), the growth tends to be dense and with more crowding of branches. The box counting technique was implemented to calculate the fractal dimensions of the patterns developed. The results are compared with the experimental observations. 1. Mandelbrot B.B. ‘The fractal geometry of nature. Freeman, San Francisco (1982). 3. Mandelbrot B.B, Viscek T., ‘Richardson plot and fractals’, J.Phys. A22, L337(1989). 4. Witten T. A. and Sander L. M., Phys. Rev. B27, 5686 (1983). 5. Sharon E.,Mitchell G. M.,William D. M.,and Harry L. S., Phy Rev Lett 91, 20 (2003). 6. Langer J. S., Rev Mod Phys. 52, 1 (1980). 7. Martin Z.B. Darren C., ‘Conformal Mapping Methods for Interfacial Dynamics’URL: http://www.ima.umn.edu. 8. Berg H., ‘Random Walks in Biology’, Princeton University Press, (1983). 9. Boston University Center for Polymer Studies. ‘The Image Galleries’http://polymer.bu.edu, (2002). 10. Wirtz, F., ‘Diffusion-Limited Aggregation and its Simulation,’ http://www.oche.de/~ecotopia/dla, (2002). 11. Asikainen J., Heinonen,J. and Ala-Nissila1T., Phys Rev E, 66, 066706(2002). 12. Hiroshi M. and Yoshiyuki K., ‘Simulation of electrochemical deposition process by a multiparticle diffusive aggregation model’, J.of Applied Phy,87, 9 (2000). 13. Grebenkov D. S., Lebedev A. A., Filoche M., and Sapoval B., Phys Rev E 71,056121(2005). 14. Michel B. and Denis B., ‘2D growth processes: SLE and Loewner chains’ Preprint submitted to Elsevier Science (17 April 2006). 15. Michael B., ‘Music from fractal noise’ the Proceedings of the Math2000Festival, Melbourne, (2000). 16. Fanchiotti H., S. J. Sciutto , ‘Analysis of Sunspot Number Flucatuations’ FERMILAB (2004 ). 17. Shaikh YH ’ Ph.D Thesis ‘Studies in Growth Pattern and Fractals’ Dr. B.A.M. University,Aurangabad (2007). 18. Ashok R, ‘Bombay Stock Exchange Index’ Pramana – J. of physics,58, 537 (2002) . Abstract: Finite Impulse Response (FIR) filters are widely applied in multi-standard wireless communications. These filters provide linear phase and absolute stability. The FIR offers a low sensitivity for the coefficient quantization errors. These properties increase the usage of FIR filter. In this paper, reconfigurable digital filter architecture is proposed. The approach is well suited if the filter order is fixed. The filter is dynamically reconfigured by changing the filter order. The order is changed by turning of the multiplier whose inputs are mitigate to be eliminated. The complexity of linear phase FIR filters is dominated by the number of adders (sub-tractors) in the coefficient multiplier. The Common Sub-expression Elimination (CSE) algorithm reduces number of adders in the multipliers and dynamically reconfigurable filters can be efficiently implemented. The proposed filter architectures offers power and area reduction over the existing FIR filter implementation. Keywords: Approximate filtering, low power filter, reconfigurabledesign,commonsubexpressionelimination(CSE). 1. H. Samueli, “An improved search algorithm for the design of multipli-erless FIR filter with powers-of-two coefficients,” IEEE Trans. Circuits Syst., vol. 36, no. 7, pp. 1044–1047, Jul. 1989. 2. R. I. Hartley, “Subexpression sharing in filters using canonical signed digit multipliers,” IEEE Trans. Circuits Syst. II, Analog Digit. Signal Process., vol. 43, no. 10, pp. 677–688, Oct. 1996. 3. O. Gustafsson, “A difference based adder graph heuristic for multiple constant multiplication problems,” in Proc. IEEE Int. Symp. Circuits Syst., 2007, pp. 1097–1100. 4. S. H. Nawab, A. V. Oppenheim, A. P. Chandrakasan, J. M. Winograd, and J. T. Ludwig, “Approximate signal processing,” J. VLSI Signal Process., vol. 15, no. 1–2, pp. 177–200, Jan. 1997. 5. J. Ludwig, H. Nawab, and A. P. Chandrakasan, “Low power digital filtering using approximate processing,” IEEE J. Solid-State Circuits, vol. 31, no. 3, pp. 395–400, Mar. 1996. 6. Sinha, A. Wang, and A. P. Chandrakasan, “Energy scalable system design,” IEEE Trans. Very Large Scale Integr. Syst., vol. 10, no. 2, pp. 135–145, Apr. 2002. 7. K.-H. Chen and T.-D. Chiueh, “A low-power digit-based reconfig-urable FIR filter,” IEEE Trans. Circuits Syst. II, Exp. Briefs, vol. 53, no. 8, pp. 617–621, Dec. 2006. 8. R. Mahesh and A. P. Vinod, “New reconfigurable architectures for im-plementing filters with low complexity,” IEEE Trans. Comput.-Aided Des. Integr. Circuits Syst., vol. 29, no. 2, pp. 275–288, Feb. 2010. 9. Z. Yu, M.-L. Yu, K. Azadet, and A. N. Wilson, Jr, “A low power FIR filter design technique using dynamic reduced signal representation,” in Proc. Int. Symp. VLSI Tech., Syst., Appl., 2001, pp. 113–116. 10. R. Mahesh and A. P. Vinod, “Coefficient decimation approach for real-izing reconfigurable finite impulse response filters,” in Proc. IEEE Int. Symp. Circuits Syst., 2008, pp. 81–84. 11. J. Park and K. Roy, “A low complexity reconfigurable DCT archi-tecture to trade off image quality for power consumption,” J. Signal Process. Syst., vol. 53, no. 3, pp. 399–410, Dec. 2008. 12. J. G. Proakis, Digital Communications, 3rd ed. New York: McGraw-Hill, 1995 . 13. Synopsys, Inc., Nanosim Reference Guide, 2007. 14. S. Hwang, G. Han, S. Kang, and J. Kim, “New distributed arithmetic algorithm for low-power FIR filter implementation,” IEEE Signal Process. Lett., vol. 11, no. 5, pp. 463–466, May 2004. 15. L. Garcia, Probability, Statics, and Random Processes for Electrical Engineering. Upper Saddle River, NJ: Pearson Education, 2009. 16. P. Vinod and E. Lai, “Low power and high-speed implementation of FIR filters for software defined radio receivers,” IEEE Trans. Wireless Commun., vol. 5, no. 7, pp. 1669–1675, Jul. 2006. 17. C. Y. Yao, H. H. Chen, C. J. Chien, and C. T. Hsu, “A novelcommon-subexpression-elimination method for synthesizing fixed-point FIR filters,” IEEE Trans. Circuits Syst. I, vol. 51, no. 11, pp. 2215–2221, Nov. 2004. Abstract: Weirs have widely been used for the flow measurement, flow diversion and its control in the open channels. Generally they are used as normal weirs of various shapes like rectangular, triangular, trapezoidal, etc. pose problems of submergence upstream of the weir due to large afflux required to pass the discharge downstream. Several weirs of modified plan form like oblique weirs, diagonal weirs, Duckwill weirs, Labyrinth weirs etc. have successfully been used to control the afflux and to enhance their discharging capacity with minimum head over the weirs. Labyrinth weirs are folded in the plan view (i.e. the weir crest is not straight in plan form) to provide a longer crest length compared to a normal weir having the same lateral space to increase the discharge for a given operating head. For large reservoirs, the labyrinth weir is used as the overflow structure. It allows the overflow sill to be raised for the same maximum level of the water and flood, and thus, increase the storage capacity of the reservoir. This paper contains the results of experimental study carried out to analyse the flow characteristics of a sharp-crested curved plan-form weirs under free flow conditions in a rectangular channel with weir height around 0.10 m and vertex angles ranging from 00 (i.e. normal weir) to 1200. The equations for the discharge coefficient of curved weirs have been proposed. The results show that there is a gain of about 50% in discharge over a curved weir with vertex angle of 1200 as compared to a normal weir. Finally, equations for discharge coefficient for all tested curved weirs in a free flow situation have been proposed. Keywords: Sharp crested weir, Curved plan-form, Flow measurement, Coefficient of discharge, Open channel. 16. I. Aydin, A. M. Ger and O. Hincal, Measurement of small discharges in open channels by slit weir. ASCE J Hydraul Eng; vol. 128(2): pp. 234–7 (2002). Abstract: In power system operation, minimizing the real power loss in transmission lines and the voltage deviation at the load buses by controlling the reactive power flow is an important task. This ensures for secured operation of power systems with regard to voltage stability and economics of operation owing to loss minimization. In this paper, the nature inspired Big Bang – Big Crunch (BB-BC) algorithm is implemented to solve the multi constrained optimal reactive power flow problem in a power system. The algorithm is free from large number of operators and can be easily coded in any programming language. Generator bus voltages, transformer tap positions and settings of switched shunt var compensators are used as decision variables to control the reactive power flow. BB-BC algorithm is tested on the standard IEEE-30 bus test system and the results are compared with other methods to prove the effectiveness of the new algorithm. The results are quite encouraging and the algorithm is found to be efficient. Keywords: Big Bang–Big Crunch Algorithm, Optimal Reactive Power Flow, Loss Minimization, Optimal Reactive Power Flow Control. 1. P.K. Roy , S.P. Ghoshal , S.S. Thakur, “Optimal VAR Control for Improvements in Voltage Profiles and for Real Power Loss Minimization using Biogeography Based Optimization”, Electrical Power and Energy Systems, Vol. 43, No.1, pp. 830–838, December 2012. 2. Abbas Rabiee, Maziar Vanouni, Mostafa Parniani, “Optimal Reactive Power Dispatch for Improving Voltage Stability Margin Using a Local Voltage Stability Index”, Energy Conversion and Management, Vol. 59, pp. 66-73, July 2012. 3. Kursat Ayan, Ulas kilic, “Artificial Bee Colony Algorithm Solution for Optimal Reactive Power Flow”, Applied Soft Computing, Vol.12, No. 5, pp. 1477–1482, May 2012. 4. M. Varadarajan, K.S. Swarup, “Differential Evolutionary Algorithm for Optimal Reactive Power Dispatch, Electrical Power & Energy Systems, Vol. 30, No. 8, pp. 435–441, October 2008. 5. Amit Saraswat, Ashish Saini, “Multi-Objective Optimal Reactive Power Dispatch Considering Voltage Stability in Power Systems using HFMOEA”, Engineering Applications of Artificial Intelligence, Available online 18 July 2012. 6. Altaf Q.H. Badar , B.S. Umre, A.S. Junghare, “Reactive Power Control Using Dynamic Particle Swarm Optimization for Real Power Loss Minimization”, Electrical Power & Energy Systems, Vol. 41, No. 1, pp. 133–136, October 2012. 7. Reza Sirjani , Azah Mohamed, Hussain Shareef, “Optimal Allocation of Shunt Var Compensators in Power Systems Using a Novel Global Harmony Search Algorithm”, Electrical Power & Energy Systems, Vol. 43, No.1, pp. 562–572, December 2012. 8. Serhat Duman , Ugur Guvenc , Yusuf Sonmez , Nuran Yorukeren, “Optimal Power Flow Using Gravitational Search Algorithm Energy Conversion and Management”, Vol. 59, pp.86–95, July 2012. 9. Mansour MO, Abdel-Rahman TM, “Non-linear VAR Optimization Using Decomposition and Coordination”, IEEE Transactions on Power Apparatus Systems Vol. PAS-103, No. 2, pp. 246–55, February 1984. 10. Mamandur KRC, Chenoweth RD, “Optimal Control of Reactive Power Flow for Improvements in Voltage Profiles and for Real Power Loss Minimization”, IEEE Transactions on Power Apparatus Systems, Vol. PAS-100, No.7, pp. 3185–3193, July 1981. 11. Gan D, Qu Z, Cai H, “Large-Scale VAR Optimization and Planning by Tabu Search”, Electric Power Systems Research, Vol. 39, No. 3, pp. 195–204, December 1996. 12. Hsiao YT, Chiang HD, “Applying Network Window Scheme and a Simulated Annealing Technique to Optimal VAR Planning in Large-Scale Power Systems”, Electric Power Systems Research, Vol. 22, No. 1, pp.1–8, January 2000. 13. Iba K. “Reactive Power Optimization by Genetic Algorithm”, IEEE Transactions on Power Systems, Vol.9, No. 2, pp. 685–692, May 1994. 14. Abido M.A., Bakhashwain JM, “Optimal VAR Dispatch Using a Multi Objective Evolutionary Algorithm, Electric Power & Energy Systems, Vol.27, No. 1, pp.13–20, January 2005. 15. Swain AK, Morris AK, “A Novel Hybrid Evolutionary Programming Method for Function Optimization”, Proc. 2000 Congress on Evolutionary Computation, Vol. 1, pp. 16. Esmin AAA, Lambert-Torres G, de Souza ACZ, “A Hybrid Particle Swarm Optimization Applied to Power Loss Minimization”, IEEE Transactions on Power Systems, Vol. 20, No. 2, pp. 859–866, May 2005. 17. Cai J, Mab X, Li Q, Li L, Peng H, “A Multi-Objective Chaotic Ant Swarm Optimization for Environmental/Economic Dispatch”, Electric Power & Energy Systems, Vol.32, No.5, pp. 337–344, June 2010. 18. Shaheen HI, Rashed GI, Cheng SJ, “Optimal Location and Parameter Setting of UPFC for Enhancing Power System Security based on Differential Evolution Algorithm”, Electric Power & Energy Systems, Vol. 33, No.1, pp. 94–105, Jan 2011. 19. R. Mallipeddi , S. Jeyadevi , P.N. Suganthan , S. Baskar, “Efficient Constraint Handling for Optimal Reactive Power Dispatch Problems”, Swarm and Evolutionary Computation, Vol.5, pp. 28–36, August 2012. 21. S. Sakthivel, D. Mary, “Reactive Power Optimization Incorporating TCSC Device through Big Bang-Big Crunch Algorithm for Voltage Stability Limit Improvement”, Wulfenia Journal, Vol. 19, No. 10, 2012. 22. Dr. H. K. Verma, Yogesh Manekar, “Big Bang Big Crunch Optimization for Determination of Worst Case Loading Margin”, International Journal of Engineering Research and Applications, Vol. 2, No. 4, pp. 421-426, August 2012. 23. A. Abou El Ela, M.A. Abido, S. R. Spea “Optimal Power Flow using Differential Evolution Algorithm”, Electric Power Systems Research, Vol. 80, No. 7, pp. 878–885, July 2010. 24. Mahadevan. K, Kannan P. S. “Comprehensive Learning Particle Swarm Optimization for Reactive Power Dispatch”, Applied Soft Computing, Vol. 10, No. 2, pp. 25. A.H. Khazali, M. Kalantar, “Optimal Reactive Power Dispatch based on Harmony Search Algorithm”, Electrical Power and Energy Systems, Vol. 33, No. 3, pp. 684–692, March 2011. Abstract: This paper presents an area efficient, and simple design, of multilevel two dimensional discrete wavelet transform (2-D DWT) modules for image compression. The proposed architecture is based on lifting scheme approach, using the (5/3) wavelet filter, aiming to reduce the hardware complexity and size of the on-chip memory. This architecture consists of a control unit, a processor unit, two on-chip internal memories to speed up system operations, and an on-board off-chip external memory (Intel strata parallel NOR flash PROM). The 2-dimensinal discrete wavelet transform lifting scheme algorithm has been implemented using MATLAB program for both modules forward discrete wavelet transform (FDWT) and inverse discrete wavelet transform (IDWT) to determine suitable word length for DWT coefficients and the peak signal to noise ratio (PSNR) for the retrieved image. The decomposition algorithm of this transform is designed and synthesized with the VHDL language and then implemented on the FPGA Spartan 3E starter kit (XC3S500E) to check validation of results and performance of design. Keywords: Two dimensional discrete wavelet transform (2-D DWT), lifting scheme, (5/3) wavelet filter, and FPGA applications..
1. S. Mallat; "A Theory for Multiresolution signal decomposition: The Wavelet Representation", IEEE Trans. Pattern Analysis and Machine Intelligence, Vol. 11, No. 7, pp. 674-693, 1989. 2. D. Die, M. Zeghid, T. Saidani, M. Atri, B. Bouallegue, M. Machhout and R. Tourki; "Multi-level Discrete Wavelet Transform Architecture Design", Proceedings of The World Congress on Engineering , London, U.K, Vol 1,WCE 2009. 3. M. Maamoun, M. Neggazi, A. Meraghni, and D. Berkani; "VLSI Design of 2-D Discrete Wavelet Transform for Area-Efficient and High-Speed Image Computing", World Academy of Science, Engineering and Technology, 44, 2008. 4. W. Sweldens; "The lifting scheme: A construction of second generation wavelets", Tech. Rep. 1995:6. Industrial Mathematics Initiative, Department of Mathematics, University of South Carolina. 5. M. E. Angelopoulou, P.Y.K. Cheung, K. Masselos and Y. Andreopoulous ; "Implementation and Comparison of the 5/3 Lifting 2D Discrete Wavelet Transform Computation Schedules on FPGAs", Journal of Signal Processing Systems 51, 3-21, 2008.J. 7. G. C. Jung, D. Y. Jin, S. M. Park; "An Efficient line VLSI Architecture for 2-D Lifting DWT", The 47th IEEE International Midwest Symposium on Circuits and Systems. 8. Xilinx, Inc.; "Spartan 3E Starter Kit Board User Guide", UG230 (v1.0) March 9, 2006. 9. Ken chapman; "NOR FLASH Programmer for Spartan-3E Starter Kit", User Guide, Xilinx Ltd., March 2006. 10. M. Weeks; "Precision for 2D Discrete Wavelet Transform Processors", Department of Computer Science, Georgia State University, 1998. Abstract: Breast cancer continues to be one of the major causes of death among women. Early detection is a key factor to the success of treatment process. X-ray mammography is one of the most common procedures for diagnosing breast cancer due to its simplicity, portability and cost effectiveness. Mass detection using Computer Aided Diagnosis (CAD) schemes was an active field of research in the past few years, and some of these studies showed a promising future. T`hese CAD systems serve as a second decision tool to radiologists for discovering masses in the mammograms. In this paper, a breast mass segmentation method is presented based on adaptive median filtering and texture analysis. The algorithm is implemented using MATLAB environment. The program accepts a digital mammographic image (images taken from the Mammographic Image Analysis Society (MIAS) database). Adaptive median filtering is applied for contouring the image, then the best contour is chosen based on the texture properties of the resulting Region-of-Interest (ROI). The proposed CAD system produces (92.307%) mass sensitivity at 2.75 False Positive per Image (FPI) which is considered as a proper result in this field of research. Keywords: adaptive median filtering, Digital mammograms, mass detection, texture analysis..
1. Moayedi, R. Boostani, A. R. Kazemi, S. Katebi And E. Dashti; "Subclass Fuzzy-Svm Classifier As An Efficient Method To Enhance The Mass Detection In Mammograms", Iranian Journal Of Fuzzy Systems, Vol. 7, No. 1, Pp. 15-31, 2010. 2. CONE HEALTH, the network for exceptional care, Regional Cancer Statistics January 2012. 3. VALLIAPPAN Raman, PUTRA Sumari and MANDAVA Rajeswari; "A Theoretical Methodology and Prototype Implementation for Detection Segmentation Classification of Digital Mammogram Tumor by Machine Learning and Problem Solving Approach", International Journal of Computer Science Issues (IJCSI), Vol. 7, Issue 5, September 2010. 4. H.B.Kekre, Tanuja K. Sarode, Saylee M. Gharge; "Tumor Detection in Mammography Images using Vector Quantization Technique", International Journal of Intelligent Information Technology Application, Vol. 2, No. 5, pp. 237-242, 2009. 5. Valliappan Raman, Putra Sumari, H.H.Then, and Saleh Ali K. Al-Omari; "Review on Mammogram Mass Detection by Machine Learning Techniques", International Journal of Computer and Electrical Engineering, Vol. 3, No. 6, December 2011. Sciences Journal, Vol. 13, No. 5, pp. 1067-1076, 2011. 7. Leonardo O. Martins, Geraldo B. Junior, Aristófanes C. Silva, Anselmo C. de Paiva, and Marcelo Gattass; "Detection of Masses in Digital Mammograms using K-means and Support Vector Machine", Electronic Letters on Computer Vision and Image Analysis, Vol. 8, No. 2, pp. 39-50, 2009. 8. Heang-Ping Chan, Jun Wei, Tao Wu and Mark A. Helvie; "Computer-aided Detection System for Breast Masses on Digital Tomosynthesis Mammograms: Preliminary Experience", Radiology, Vol. 237, No. 3, December 2005. 9. Nicholas Petrick, Berkman Sahiner and Lubomir M. Hadjiiski; "Breast Cancer Detection: Evaluation of a Mass-Detection Algorithm for Computer-aided Diagnosis Experience in 263 Patients", Radiology, Vol. 224, No. 1, July 2002. 10. Reyer Zwiggelaar, James E. Schumm and Christopher J. Taylor; "The Detection of Abnormal Masses in Mammograms", Wolfson Image Analysis Unit, University of Manchester, Manchester, UK. 11. D. Cascio, F. Fauci, R. Magro and E. Lopez Torres; "Mammogram Segmentation by Contour Searching and Massive Lesion Classification with Neural Network", Institute of Electrical and Electronic Engineering (IEEE), 2006. 12. Mehul P. Sampat, Mia K. Markey and Alan C. Bovik; "Computer- Aided Detection and Diagnosis in Mammography". 13. Yao Yao; "SEGMENTATION OF BREAST CANCER MASS IN MAMMOGRAMS AND DETECTION USING MAGNETIC RESONANCE IMAGING", School of Electrical & Electronic Engineering, Nanyang Technological University. 14. Alfred M. Mutiso; "DATAMINING IN MEDICAL APPLICATIONS: COMPUTER AIDED DIAGNOSIS (CAD) IN MEDICAL IMAGING WITH AN EMPHASIS ON MAMMOGRAPHY". 15. The MAMMOGRAPHIC IMAGE ANALYSIS SOCIETY (MIAS), mini mammographic image database guide. 16. TRIPTY SINGH, M.NAGRAJA, SWARNALATA RAO, MAHUA BHATTACHARYA and SANTOSH BOMMANALLI; "ENHANCING IMAGE CONTRAST OF MAMMOGRAM & EQUALIZATION OF HISTOGRAMS", International Journal of Engineering Science and Technology (IJEST), Vol. 3, No. 1 Jan 2011. Abstract: Nowadays, Lean manufacturing tools become a key strategy for global competition. In a lean manufacturing environment, the selection of process equipments is a complex multi criteria problem. To solve such types of problems we use the VIKOR method . By using the VIKOR method decision makers can take the decision which is closer to the ideal solutions. In this paper linguistic fuzzy data is used to find out the ranking. It explains the procedure of VIKOR model in selecting a machine with a numerical example. Keywords: Equipment selection, Fuzzy VIKOR, Lean manufacturing,. 1. Saaty TL. The Analytic Hierarchy Process . New York: McGraw Hill, 1980. 2. R. Venkata Rao. Decision making in the Manufacturing Environment: using graph theory and fuzzy multiple attribute decision making methods.London:Springer series in Advanced Manufacturing,2007. 3. Chu, M., Shyu, J., and et al. (2007). Comparison among three analytical methods for knowledge communities group-decision analysis.Expert Systems with Application, 33(4):1011–1024. 6. Rao RV, Davim JP (2007) A decision making framework model for material selection using a combined multiple attribute decision making method. International Journal of Advanced Manufacturing Technology. Abstract: In today’s world, Component Based development is an active research area for more than a decade in software engineering. As they provide automated or semi-automated support for the various processes and the methods. There are three main approaches in Software Engineering world such as Structured, Object-oriented and Component-based approach. The last Component-based approach introduces more benefits to this world in terms of reusability, flexibility and maintainability. This paper basically provides the background of various software engineering approaches and compares the Component based development to the object oriented development approach and to the various other traditional approaches. Keywords: Component Based Development, Commercial off the shelf (COTS), Object-oriented Development, Process Models. 1. PRESSMAN Roger, “Software Engineering”, McGraw Hill, 2006. 2. HERZUM Peter, SIMS Oliver, “Business Component Factory”, Wiley, 1999. 3. Mili, H, Mili ,A.,Vacoub S., and Addy, E(2002) “Reuse Based Software Engineering”, Wiley- Interscience Publication, USA. 4. G. Pour, “Component-Based Software Development Approach: New Opportunities and Challenges,” Proceedings Technology of Object-Oriented Languages, 1998. TOOLS 26., pp. 375-383. 5. BAYAR Vedat,” A Process Model For Component Oriented Software Development”, Master Thesis, 2001. 6. RUMBAUGH James, BLAHA Michael, PREMERLANI William, EDDY Frederick, LORENSEN William, “Object Oriented Modeling and Design”, Prentice Hall, 1991. 7. Somerville, Ian,” Software Engineering”, 7th Edition, Addison-Wesley, 2004. Abstract: Power supply voltages in digital systems have been reduced considerably in recent years and often digital components requiring different voltages are present in the same board. This has increased the demand for multiple output power distribution systems with tight load regulation. In this paper, a detailed analysis and design of a multi-output flyback zero voltage switching (ZVS) quasi resonant converter(QRC) has been carried out. The effect of cross regulation due to load resistances and leakage inductances are studied and obtained. To reduce the effect of cross-regulation, conventional PI controllers are designed and simulated. In order to improve the performances of the converter due to nonlinearity, intelligent controller like fuzzy logic controller is proposed and simulated. The output results for load regulations are presented and the performances of both the controllers are compared. The result reveals that fuzzy logic controller gives satisfactory performances. Keywords: dc-dc converters, flyback converter, fuzzy logic control , cross regulation. 1. B.Baha, “Analysis and control of a cross-regulated multi-output forward quasi-resonant converter,” IEEE Proc.-Circuits Devices Syst., vol. 146, no. 5, pp. 255-262,October 1999. 2. Issa Batarseh, Power Electronic Circuits, John Wiley and Sons, 2004. 3. P.Dananjayan,V.Sriram,C.Chellamithu, “ A flyback constant frequency ZCS-ZVS quasi-resonant converter,” Elsevier Microelectronics journal, vol 29, pp.495-504,1998. 4. Jai P. Agarwal, “Determination of cross regulation in multi-output resonant converters,” IEEE Transl. on Aerospace and electronic system., vol. 36, no. 3,pp. 760-772,July 2000. 5. S.Arulselvi,K.Deepa,G.Uma, “ Design, analysis and control of a new multi-output flyback CF-ZVS-QRC,” in Proc. IEEE/ICIT Conf, Hongkong,pp.413-419,December-2005. 6. S.Arulselvi, “Conventional and intelligent control of hard-switched and soft-switched dc-dc converters,” Ph.D. dissertation, Anna Univ., Chennai,India,2007. 7. Balu Balakrishnan, Data Book and Design Guide. Power Integrations, U.S.A,2005. 8. George Stephanopoulos,Chemical Process Control,Prentice Hall of India,1994. Abstract: There are numerous developing methods in the manufacturing and software development industries which are broadly classified into traditional and agile methods. This paper reviews the important aspects of traditional and agile methods of software development. It also explains the properties of both methodologies by making comparison between them. We will discuss the flaws and challenges faces by traditional development processes and how will agile overcome them which leads us to the conclusion that agile have an edge upon traditional methods. 1. O. Nikiforova, V. Nikulsins, U. Sukovskis, “Integration of MDA Framework into the Model of Traditional Software Development,” In: Frontiers in Artificial Intelligence and Applications, Databases and Information Systems, vol. 187, pp. 229–239, IOS Press, Amsterdam, 2009. 2. C. Larman, “Agile and Iterative Development: A Manager’s Guide,” Addison-Wesley, 2004. 3. Project Management Institute, “A Guide to Project Management body of Knowledge,” 4th Edition, 2008. 4. V. Szalvay, “An Introduction to Agile Software Development.” Danube Technologies Inc, Nov 2004. 7. T. Dyba, T. Dingsøyr, “Empirical studies of agile software development: A systematic review,” Elsevier, January, 2008. 8. David F. Rico, “What is the ROI of agile vs. traditional Methods”, 2008. 9. Leo R. Vijayasarathy, D. Turk, “Agile Software Development: A survey of early adopters,” Journal of Information Technology Management, Vol.19, No.2, 2008. 10. Yu. Leau, W. Loo, W. Tham and S. Tan, “Software Development Life Cycle AGILE vs Traditional Approaches,” International Conference on Information and Network Technology, vol.37, pp.162-167, 2012. Abstract: This paper highlight about the maximization of network lifetime & minimization of delay parameter which is important to improve the performance of the wireless sensor network as effective and reliable Wireless mostly energy is used when communication radios are on. The network lifetime is usually defined as the time until the first node fails because of energy depletion. So sleep-wake scheduling is effective mechanism to increase network lifetime. Sleep-wake scheduling is efficient to increase network lifetime but it could result in substantial delays because a transmitting node needs to wait for its next-hop relay node to wake up. We attempts to reduce these delays by developing “anycast”-based packet forwarding schemes, where each node opportunistically forwards a packet to the first neighboring node that wakes up among multiple candidate nodes such set of nodes called forwarding node set. We used anycast forwarding schemes to forward the data packet to next hop node which minimizes the expected packet-delivery delays from the sensor nodes to the sink node. Based on this result, we provide a solution to the problem of how to optimally control the system parameters of the sleep-wake scheduling protocol and the anycast packet forwarding protocol to maximize the network lifetime and minimize the delay with constraint on the expected end-to-end packet-delivery delay. Keywords: WSN, any cast, sleep–wake scheduling, network lifetime, Network delay. 1. Y.-C. Tseng, C.-S. Hsu, and T.-Y. Hsieh, “Power-saving protocols for IEEE 802.11-based multi-hop ad hoc networks,” Comput. Netw., vol. 43, pp. 317–337, Oct. 2003. 2. W. Ye, H. Heidemann, and D. Estrin, “Medium access control with coordinated adaptive sleeping for wireless sensor networks,” IEEE/ACM Trans. Netw., vol. 12, no. 3, pp. 493–506, Jun. 2004. 3. T. van Dam and K. Langendoen, “An adaptive energy-efficient MAC protocol for wireless sensor networks,” in Proc. SenSys, Nov. 2003, pp. 171–180. 4. J. Luo and J.-P. Hubaux, “Joint Mobility and Routing for Lifetime Elongation in Wireless Sensor Networks,” Proc. IEEE INFOCOM, 2005. 6. E. Shih, S.-H. Cho, N. Ickes, R. Min, A. Sinha, A.Wang, and A. Chandrakasan, “Physical layer driven protocol and algorithm design for energy- efficient wireless sensor networks,” in Proc. MobiCom, 2001, pp. 272–287. 7. M. Nosovic and T. Todd, “Low power rendezvous and RFID wakeup for embedded wireless networks,” presented at the IEEE Comput. Commun. Workshop, 2000. 8. C. Schurgers, V. Tsiatsis, S. Ganeriwal, and M. Srivastava, “Optimizing sensor networks in the energy-latency-density design space,” IEEE Trans. Mobile Comput., vol. 1, no. 1, pp. 70–80, Jan.–Mar. 2002. 9. J. Polastre, J. Hill, and D. Culler, “Versatile low power media access for wireless sensor networks,” in Proc. SenSys, Nov. 2004, pp. 95–107. 10. J. Polastre, J. Hui, P. Levis, J. Zhao, D. Culler, S. Shenker, and I. Stoica, “A unifying link abstraction for wireless sensor networks,” in Proc. SenSys, Nov. 2005, pp. 76–89. 11. M. Zorzi and R. R. Rao, “Geographic Random Forwarding (GeRaF) for ad hoc and sensor networks: Energy and latency performance,” IEEE Trans. Mobile Comput., vol. 2, no. 4, pp. 349–365, Oct.–Dec. 2003. 12. S. Jain and S. R. Das, “Exploiting path diversity in the link layer in wireless ad hoc networks,” in Proc. WoWMoM, Jun. 2005, pp. 22–30. 13. P. Larsson and N. Johansson, “Multiuser diversity forwarding in multihop packet radio networks,” in Proc. IEEE WCNC, 2005, vol. 4, pp. 2188–2194. 14. M. Rossi and M. Zorzi, “Integrated cost-based MAC and routing techniques for hop count forwarding in wireless sensor networks,” IEEE Trans. Mobile Comput., vol. 6, no. 4, pp. 434–448, Apr. 2007. 15. M. Rossi, M. Zorzi, and R. R. Rao, “Statistically Assisted Routing Algorithm (SARA) for hop count based forwarding in wireless sensor networks,” Wireless Netw., vol. 14, pp. 55–70, Feb. 2008. 16. S. Liu, K.-W. Fan, and P. Sinha, “CMAC: An energy efficient MAC layer protocol using convergent packet forwarding for wireless sensor networks,” in Proc. SECON, San Diego, CA, Jun. 2007, pp. 11–20. 17. R. R. Choudhury and N. H. Vaidya, “MAC-layer any casting in ad hoc networks,”SIGCOMMComput. Commun. Rev., vol. 34, pp. 75–80, Jan. 2004. 18. S. Biswas and R. Morris, “ExOR: Opportunistic multi-hop routing for wireless networks,” in Proc. ACM SIGCOMM, Oct. 2005, vol. 35, pp. 133–144. Keywords: Interline Unified power quality conditioner (IUPQC), power quality, sensitive load, voltage sag, voltage-source converter (VSC). 2. G. Ledwich and A. Ghosh, “A flexible DSTATCOM operating in voltage and current control mode,” Proc. Inst. Elect. Eng., Gen.Transm. Distrib., vol. 149, no. 2, pp. 215–224, 2002. 3. M. K. Mishra, A. Ghosh, and A. Joshi, “Operation of a DSTATCOM in voltage control mode,” IEEE Trans. Power Del., vol. 18, no. 1, pp.258–264, Jan. 2003. 4. N. H. Woodley, L. Morgan, and A. Sundaram, “Experience with an inverter-based dynamic voltage restorer,” IEEE Trans. Power Del., vol.14, no. 3, pp. 1181–1186, Jul. 1999. 5. Ghosh, A. K. Jindal, and A. Joshi, “Design of a capacitor-supported Dynamic Voltage Restorer (DVR) for unbalanced and distorted loads,”IEEE Trans. Power Del., vol. 19, no. 1, pp. 405–413, Jan. 2004. 6. H. Fujita and H. Akagi, “The unified power quality conditioner: the integration of series- and shunt-active filters,” IEEE Trans. Power Electron.vol. 13, no. 2, pp. 315–322, Mar. 1998. 7. F. Kamran and T. G. Habetler, “Combined deadbeat control of a seriesparallel converter combination used as a universal power filter,” IEEE Trans. Power Electron., vol. 13, no. 1, pp. 160–168, Jan. 1998. 8. H. M. Wijekoon, D. M. Vilathgumuwa, and S. S. Choi, “Interline dynamic voltage restorer: an economical way to improve interline power quality,” Proc. Inst. Elect. Eng., Gen., Transm. Distrib., vol. 150, no. 5, pp. 513–520, Sep. 2003. 9. Ghosh, A. K. Jindal, and A. Joshi, “A unified power quality conditioner for voltage regulation of critical load bus,” in Proc. IEEE Power Eng. Soc. General Meeting, Denver, CO, Jun. 6–10, 2004. 10. Ghosh and G. Ledwich, “A unified power quality conditioner (UPQC) for simultaneous voltage and current compensation,” Elect.Power Syst. Res., vol. 59, no. 1, pp. 55–63, 2001. 11. Ghosh, G. Ledwich, O. P. Malik, and G. S. Hope, “Power system stabilizer based on adaptive control techniques,” IEEE Trans. Power App. Syst., vol. PAS-103, no. 8, pp. 1983–1989, Aug. 1984. 12. R. C. Dugan, M. F. McGranaghan, S. Santoso, and H. W. Beaty,Electrical Power Systems Quality, 2nd ed. New York: McGraw-Hill,2003, ch. 8. 13. N. H. Woodley, A. Sundaram, B. Coulter, and D. Morris, “Dynamic voltage restorer demonstration project experience,” in Proc . 12th Conf.Elect. Power Supply Ind., Pattaya, Thailand, 1998. 14. Ghosh, A. K. Jindal, and A. Joshi, “Design of a capacitor-supported Dynamic Voltage Restorer (DVR) for unbalanced and distorted loads,”IEEE Trans. Power Del., vol. 19, no. 1, pp. 405–413, Jan. 2004. Abstract: The Optical Character Recognition is a mobile application. It uses smart mobile phones of android platform. This paper combines the functionality of Optical Character Recognition and speech synthesizer. The objective is to develop user friendly application which performs image to speech conversion system using android phones. The OCR takes image as the input, gets text from that image and then converts it into speech. This system can be useful in various applications like banking, legal industry, other industries, and home and office automation. It mainly designed for people who are unable to read any type of text documents. In this paper, the character recognition method is presented by using OCR technology and android phone with higher quality camera. Keywords: Binerization, Optical Character Recognition, Pattern Matching, Segmentation, Tesseract, Text Extraction. 1. R. Smith. “An overview of the Tesseract OCR Engine.” Proc 9th Int. Conf. on Document Analysis and Recognition, IEEE, Curitiba, Brazil, Sep 2007, pp629-633. 2. The Tesseract open source OCR engine, http://code.google.com/p/tesseract-ocr. 4. Multimedia Document Images, PhD Thesis, University of Bristol, November 1987. 5. Heuristic-Based OCR Post-Correction for Smart Phone Applications the university of North Carolina at chapel hill department of computer science honors thesis Author: Wing-Soon Wilson Lian 2009. 6. Implementing Optical Character Recognition on the Android Operating System for Business Cards By Sonia Bhaskar, Nicholas Lavassar, Scott Green EE 368 Digital Image Processing. 8. Optical Character Recognition Line Eikvil December 1993. 9. NLP Applications of Sinhala: TTS & OCR Ruvan Weerasinghe, Asanka Wasala, Dulip Herath and Viraj Welgama Language Technology Research Laboratory, University of Colombo School of Computing, 35, Reid Avenue, Colombo 00700, Sri Lanka. 10. Text To Speech: A Simple Tutorial D.Sasirekha, E.Chandra, March 2012. Abstract: The demand for power in India is ever increasing, as industrial sector is one of the largest consumers of electrical energy in India. More and more efforts are made by the Government every year to overcome this problem. Ultra Mega Power projects (UMPP) are a series of ambitious power projects planned by the Government of India. With India being a country of chronic power deficit, the Government of India has planned to provide 'power for all' by the end of the eleventh plan. This would entail a creation of an additional capacity of at least 100,000 MW. The Ultra Mega Power projects, each with a capacity of 4000 megawatts or above, are being developed with an aim to bridge this gap. The UMPPs are seen as an expansion of the MPP (Mega Power Projects) projects that the Government of India undertook in the nineties but met with limited success. The Ministry of Power in association with Central Electricity Authority and Power Finance Corporation Ltd. has launched an initiative for development of coal-based UMPP's in India. These projects will be awarded to developers on the basis of competitive bidding. Keywords: Competitive Market, Open Access, Re-regulation, Ultra Mega Power Plants. 1. Ultra Mega Power Projects, Government of India, Ministry of Power, CEA, New Delhi. 2. Mohit Saraf, “2nd Annual India UK Business Leaders Forum 2006”, Ultra Mega Power Projects, luthra & luthra Law Offices, New Delhi. 3. “9th Assocham Energy Summit”, Theme: Energy Sector - Challenges Ahead. 4. Navin Wadhwani, “Investment Opportunity and Challenges”,Ultra Mega Power Projects, May 2006. 5. Shyam Wadhera, “Development of Ultra Mega Power Projects”, Power Finance Corporation Ltd.11th May 2006. 6. Ultra Mega Thermal Power Projects, Through Competitive Bidding, January 2006, CEA, New Delhi. 7. Power Sector: Emerging Development and Critical Issuses, Government of India, Ministry of Power CEA, New Delhi. Abstract: The need for SuperSpeed data communication leads to the use of USB 3.0. USB 3.0 utilizes dual bus architecture which provides both SuperSpeed and non-SuperSpeed connectivity. This can be possible by mixing the advantage of parallel and serial data transfer. This paper provides a novel architecture for communication between USB 3.0 device and USB 3.0 host controller at a data rate of maximum up to 5.0 Gbps using Altera’s Stratix IV FPGA. To maintain synchronization between GPIF II and PCIe hard IP, FIFO is used. PLL is used to provide clock signal at different frequencies. Keywords: FIFO, FPGA, GPIF, Hard IP, PLL, USB 3.0. 1. . Andreas C. Wolf , Dr. Wolf Wireless GmbH, Dr. Christoph Scheytt , “15 Gbps Communication over an USB3.0 Cable and Even More,” 2012 9th International Multi-Conference on Systems, Signals and Devices (SSD), Mar. 2012, pp. 1 – 3. 2. Roberto Ammendolaab, Andrea Biagionic, Giacomo Chiodic, etal, “High Speed Data Transfer with FPGAs and QSFP+ Modules,” 2010 IEEE Nuclear Science Symposium Conference Record (NSS/MIC), Oct. 30 2010-Nov. 6 2010, pp. 1323 – 1325. 3. Hu Li, Yuan’an Liu, Dongming Yuan, Hefei Hu, “A Wrapper of PCI Express with FIFO Interfaces based on FPGA,” 2012 International Conference on Industrial Control and Electronics Engineering, Aug. 2012, pp. 525 – 529. 4. Hu Li, Yuan’an Liu, Dongming Yuan, Hefei Hu, “A Wrapper of PCI Express with FIFO Interfaces based on FPGA,” 2012 International Conference on Industrial Control and Electronics Engineering, Aug. 2012, pp. 525 – 529. 5. Hossein Kavianipour, Steffen Muschter and Christian Bohm, “ High Performance FPGA-based DMA Interface for PCIe,” 2012 18th IEEE-NPSS Real Time Conference (RT), June 2012, pp. 1 – 3. 6. Ranianand Venkata, Wilson Won, etal, “Architecture and Methodology of a SoPC with 3.25Gbps CDR based Serdes and Gbps Dynamic Phase Alignment,” IEEE 2003 CUSTOM INTEGRATED CIRCUITS CONFERENCE, Sept. 2003, pp. 659 662. 7. Shao-Hang Hung, Chih-Feng Chao, Yu-Chun Yan, etal., “Independent Component Analysis Hard-IP integration System on Programmable Chip (SOPC) Platform,” TENCON 2010 - 2010 IEEE Region 10 Conference, Nov. 2010, pp. 1705 – 1709. 8. Edin Kadric, Naraig Manjikian, Zeljko Zilic, “AN FPGA IMPLEMENTATION FOR A HIGH-SPEED OPTICAL LINK WITH A PCIE INTERFACE,” 2012 IEEE International SOC Conference (SOCC), 12-14 Sept. 2012, pp. 83 – 87. Keywords: DC-DC converter, Fuzzy logic, SEIG, PV array, Vienna Rectifier, and Wind energy. 1. Jaganmohan Reddy, Y.V. Pavan kumar, K. padma raju, and Anil kumar ramesh, “ Retrofitted Hybrid Power System Design With Renewable Energy Sources for Buildings”, IEEE Transaction on Smart Grid , Vol.3, no.4, pp. 2174-2186, Dec 2012. 2. S.Meenakshi, K.Rajambal, C.Chellamuthu, and S.Elangovan, “Intelligent Controller for Stand-Alone Hybrid Generation System”, Power India Conference IEEE, pp 8-15, 2006. 3. Ashraf A.Ahmed, Li Ran, Jim Bumby, “Simulation and control of a Hybrid PV-Wind System”, Power Electronics Machines & Drives, PEMD 4th IET conference, pp 421-425, 2008. 4. Meenakshmisundaram Arutchelvi, Samuel Arul Daniel, “Grid Connected Hybrid Dispersed Power Generators Based on PV Array And Wind Driven Induction Generator”, Journal of Electrical Engineering, Vol., 60, pp 313-320, 2009. 5. Hao Chen, Dionysios C. Aliprantis , “ Analysis of Squirrel-cage Induction Generators with Vienna Rectifier for Wind Energy Conversion System”, IEEE Transactions on Energy Conversion, Vol.26, no.3, 2011. conv., vol. 23, no.1, pp. 302-310, 2008. 8. A.Karthikeyan, C.Nagamani, G.Saravana Illango, A.Sreenivasulu, “Hybrid, open-loop excitation system for a wind turbine –driven stand-alone induction generator”, IET Renewable Power Generation, Vol.5, no.2,pp.184-193,2011. 9. Timothy and Ross J, Fuzzy logic with engineering applications, McGraw hill international editions, Electrical engineering series, New York, 1997. Abstract: The three-partition problem is one of the most famous strongly NP-complete combinatorial problems. Most of the recently proposed computational methods for solving partial differential equations on multiprocessor architectures stem from the 'divide and conquer' paradigm and involve some form of domain decomposition. For those methods which also require grids of points or patches of elements, it is often necessary to explicitly partition the underlying mesh, especially when working with local memory parallel processors. In this paper, a family of cost-effective algorithms for the automatic partitioning of arbitrary two- and three-dimensional finite element and finite difference meshes is presented and discussed in view of a domain decomposed solution procedure and parallel processing. We introduce properties which, in many cases, can allow either a quick solution of an instance or a reduction of its size. The average effectiveness of the properties proposed is tested through computational experiments. In this paper we propose a new approach to organize a parallel computing for finding all solutions of a problem, whose sequential algorithm takes too long finding all solutions. The parallel computing organization above presented is an combination of the bottom-up design and the divide and conquer design. We also propose a new efficient and simple algorithm for the 3-partition problem and paralellize the algorithm. Keywords: three-Partition problem, Dynamic programming, NP complete, Divide. 1. Dell’Amico, M. and Martello, S. (1995). Optimal scheduling of tasks on identical parallel processors, ORSA Journal on Computing, vol. 7, pp. 191–200. 2. Garey, M.R. and Johnson, D.S.(1975). Complexity results for multiprocessors scheduling under resource constraints, SIAM Journal on Computing, vol. 4, pp. 397–411. 3. Kern ,W. and Qiu, X. (2011). Improved taxation rate for bin packing games. In A. Marchetti-Spaccamela and M. Segal, editors, First International ICST Conference on Theory and Practice of Algorithms in (Computer) Systems, TAPAS 2011, Rome, Italy, volume 6595 of Lecture Notes in Computer Science, PP. 175–180. 5. Brendan,D. McKay. nauty User’s Guide. (2009). Australian National University. 6. N. J. A. Sloane. Sloane’s series.(2007). Number of isomorphism classes of connected 3-regular loopless multigraphs of order 2n. 7. Donald E. Knuth. Dancing links, November( 2000). Technical report, Stanford University. Abstract: the purpose of this paper is to design a minimal states deterministic finite automaton for Sign language pattern using the concept regular expression. Deterministic finite automata are a practical approach used for designing a computational model. This paper also emphasis on minimization of Sign language DFA using the concept of contraction (or merging) of equivalent states algorithm. Keywords: Sign Language pattern, Deterministic Finite Automata (DFA), Minimization of DFA. 1. John C Martin, “Introduction to languages and Automata Theory”, 3rd Edition, 2003. 2. Thomas Sudkamp, ‘Automata Theory, Languages, and Computation’, Third Edition. 4. Martin L.A. Sternberg, ‘American Sign Language Dictionary, Third Edition’, Third Edition. Abstract: Desalination is the process that removes dissolved minerals (including salts) from seawater or brackish water. Existing water desalination processes are either thermal or membrane technology. Wind power is one of the most popular form of renewable energy for water desalination. The proposed system is driven entirely by renewable energy sources . It converts wind energy directly into kinetic energy so as to drive brackish water through pre-treatment units and a RO desalination unit. Most of the existing desalination plants uses wind power as an auxiliary energy supply. The direct use of wind energy in an RO desalination system is done in this work. This project aims to develop a simple, cost-effective water desalination system for small scale remote area applications. In conventional systems the electric power was used to run the system instruments for data acquisition and control. The incorporation of the hybrid system to power the data acquisition and control instruments is a solution for this. 1. B. Ali, M. Turki., and Belhadj.E ‘’Energy Management of a Reverse Osmosis Desalination Process Powered by Renewable Energy Sources’’, Proceedings of the 16th IEEE International Conference on electrotechnicals, 2012,800–805. 4. Bourouni.K , Ben.M ‘’Design and optimization of desalination reverse osmosis plants driven by renewable energies using genetic algorithms’’ ELSEVIER,2011, Renewable energy36,.936–950. 5. Eltawil.M , Zhengming.Z, and Yuan.L “A review of renewable energy technologies integrated with desalination systems”, ELSEVIER,2009, vol. 13,.2245–2262. 7. Haganesh.B ,Mohan.S. “Study on subsurface water quality in selected places in coimbatore” ISSN 2,2012,2250-3498. 8. John.C, Rhodes.T, David.G Kerry.H and George.T. “Water Treatment Principles and Design” Edition2, ISBN, 2012, 0-471, 11018-3. Abstract: Multimedia is a media that uses a combination of different forms which includes audio, text, video, images, etc...So, for the purpose of better understanding of user it’s better to retrieve Multimedia data rather than text. Web mining is retrieving the content using data mining techniques from World Wide Web. Multimedia retrieval using web mining deals with the retrieval of useful patterns based on the user’s search requirements. The images and video clips were retrieved by crawling the World Wide Web. The main theme of this paper is to know the mining details of various types of data in form of multimedia retrieval where all kinds of data or information is retrieved based on the search pattern of the user. Keywords: Multimedia, Web Mining, World Wide Web, Data Mining. Systems Research Laboratory and Vision and Media Laboratory report, 2009. 4. Dianhui Wang, Yong-Soo Kim, Seok Cheon Park, Chul Soo Lee and Yoon Kyung Han, “Learning Based Neural Similarity Metrics for Multimedia Data Mining” Soft Computing, Volume 11, Number 4, February 2007, pp. 335- 340. 5. Chakrabarti S. “ Mining the web: Analysis of Hypertext and Semi Structured Data”, morgan Kaufmann, San Francisco, CA. 6. C. Lakshmi Devasena et al. / International Journal on Computer Science and Engineering (IJCSE), ISSN : 0975-3397 Vol. 3 No. 3 Mar 2011 1155-1167. 7. Rosenfeld A., D. Doermann, D. DeMenthon, Eds., Video Mining, Kluwer, 2003. 8. Pravin M. kamde, Dr. siddu, P. Algur, “A Survey on web mining Multimedia”/The International Journal Of Multimedia & Its Applications (IJMA). 9. Wijesekera D. and D. Barbara, “Mining cinematic knowledge: Work in progress”, in Proc. Of International Workshop on Multimedia Data Mining (MDM/KDD’2000), Boston, pp. 98–103. 10. Dailey D., F. Cathey, and S. Pumrin, “An algorithm to estimate mean traffic speed using uncalibrated cameras”. IEEE Transactions on Intelligent Transportation Systems, Vol. 1, 2000, pp. 98–107. 11. Snoek C.G.M. and M. Worring, Multimodal Video Indexing: “A Review of the State-of-the-art Multimedia Tools and Applications”, Vol. 25, No. 1, 2005, pp. 5-35. Abstract: The data plays vital role in data intensive applications or applications which relay on large data files, In the era of information technology the size of data is increasing drastically and this type of data is usually referred to as “Big Data”. Which is usually in the unstructured or may be in structured format in data grids or in cluster, and manipulation of such type of data like retrieving, storing and updating it is very tedious job in data intensive application. Data grids are type of data cluster technique which deals with such big data. which may be heterogeneous or homogeneous in nature depending on their property but in the era of fast growing technology the term heterogeneous data grids now replacing by cloud computing to serve as one of the service of cloud computing. In network of cloud computing, data replication and consistency maintenance plays key role to share data between nodes (data intensive applications) to achieve high performance, data availability, consistency and partial tolerance. In this paper we discuss the various data replication strategies with Hadoop Distributed File System which provides MapReduce Framework for data replication and consistency maintenance in cloud computing, to achieve high performance, consistency, availability and partial tolerance and discuss the performance evaluation of these various techniques and frameworks like cloud MapReduce, Integrated data replication and consistency maintenance and also MapReduce with Adaptive Load balancing for Heterogeneous and Load imbalanced cluster (MARLA). Keywords: Distributed System, Data Intensive Applications, Data Grids, Data Replicas, Job Scheduling, Cloud Computing. 1. Konstantin Shvachko, Hairong Kuang, Sanjay Radia and Robert Chansler “The Distributed File System” IEEE 2010. 2. Haiying (Helen) Shen "IRM: Integrated File Replication and Consistency Maintenance in P2P System" IEEE Transactions On Parallel And Distributed Systems, Vol. 21, No. 1, January 2010. 3. Huan Liu and Dan Orban “Cloud MapReduce: a MapReduce Implementation on top of a Cloud Operating System” 11th IEEE/ACM International Symposium on Cluster, Cloud and Grid Computing, 2011. 4. Zacharia Fadika, Elif Dede, Jessica Hartog and Madhusudhan Govindaraju “MARLA: MapReduce for Heterogeneous Clusters” 12th IEEE/ACM International Symposium on Cluster, Cloud and Grid Computing, 2012. 5. Kapil Bakshi “Considerations for Big Data: Architecture and Approach” Proc. IEEE Symp. Mass Storage Systems and Technologies, 2012. 6. D. J. Abadi “Data Management in Cloud: Limitations and Opportunities” IEEE Data Eng. Bull., Vol. 32, no. 1, 2009. 7. E. Brewer, “Towards robust Distributed systems” in PODC, 2000. 8. Rowstron and P. Druschel “Storage Management and Caching in PAST, a Large Scale, Persistent Peer to Peer Storage Utility”, Proc ACM Symp. Operating System Principles, 2001. 9. F. Dabek, M. F. Kaashoek, D. Karger, R. Morris and I. Stocia, “Wide Area Cooperative Storage with CFS”, Proc ACM Symp. Operating System Principles, 2001. 10. X. Chen, S. Ren, H. Wang and X. Zhang “SCOPE: Scalable Consistency Maintenance in Structured P2P System” Proc. IEEE INFOCOM, 2005. 11. Clarke, O. Sandberg, B. Wiley and T. W. Hong “Freenet: A Distributed Anonymous Information Storage and Retrieval System ”, Proc Int’l Workshop Design Issue in Anonymity and Unobservability, pp. 46-66, 2001. 12. Dharma Teja Nukarapu, Liqiang Wang “Data Replication in Data Intensive Scientific Application with Performance Guarantee” IEEE Transaction on Parallel and Distributed System, vol. 22, No. 8, August 2011. 13. Vazhkudai S., Tuecke S., Foster I. (2001). Replica Selection in the Globus Data Grid, Proceedings of the International Workshop on Data Models and Databases on Clusters and the Grid (DataGrid 2001), (pp: 106-113), May 2001, IEEE Computer Society Press. 14. Raman P., Livny M.and Solomon M. (1998). Matchmaking: Distributed Resource Management for High Throughput Computing, In Proceedings of 7th IEEE Symposium on High Performance Distributed Computing (HPDC) (pp: 140-146), July 1998, IEEE Computer Society Press. 15. Ranganathan K. and Foster I. (2001). Identifying dynamic Replication Strategies for a High-Performance Data Grid, Proceedings of International Workshop on Grid Computing (pp: 75-86), Denver, USA, November 2001. 16. Carman M., Zini F., Serafini L. and Stockinger K. (2002). Towards an Economy-Based Optimisation of File Access and Replication on a Data Grid. Proceedings of the 1st IEEE/ACM International Conference on Cluster Computing and the Grid (CCGrid), (pp: 340-345), Berlin, Germany, May 2002, IEEE Computer Society Press. 17. Bell W. H., Cameron D. G., Carvajal-Schiaffino R., Millar A. P., Stockinger K., Zini F. (2003). Evaluation of an Economy-Based File Replication Strategy for a Data Grid, Proccedings of 3rd IEEE International Symposium on Cluster Computing and the Grid (CCGrid), Tokyo Japan, May 2003, IEEE Computer Society Press. 18. Lamehamedi H., Shentu Z., Szymanski B.and Deelman E. (2003). Simulation of Dynamic Data Replication Strategies in Data Grids, Proceedings of the 17th International Parallel and Distributed Processing Symposium (PDPS), Nice, France, IEEE Computer Society. 19. Dullmann D., Hosckek W., Jaen-Martinez J., Segal B., Samar A., Stockinger H. and Stockinger K.(2001). Models for Replica Synchronisation and Consistency in a Data Grid, Proceeding of 10th IEEE International Symposium on High Performance and Distributed Computing (HPDC), (pp: 67-75), San Francisco, August 2001. 20. Venugopal S., Buyya R., and Ramamohanarao K. (2005). A Taxonomy of Data Grids for Distributed Data Sharing, Management and Processing (Technical Report, GRIDS-TR-2005-3), Grid Computing and Distributed Systems Laboratory, University of Melbourne, Australia. Abstract: A Web page typically contains many information blocks. Besides, the content blocks, it usually has such blocks as navigation panels, copyright and privacy notices, and advertisements. These blocks that are not the main content blocks of the page, we call them as noisy blocks. We show that the information contained in these noisy blocks can seriously harm Web data mining. Thus eliminating these noises is of great importance. In our work we focus on identifying and removing local noises in web pages to improve the performance of mining. A simple idea for detection and removal of noises a new DOM tree structure is proposed. The result shows the remarkable increase in F score and accuracy is obtained. Keywords: Noise elimination, DOM tree, Web page cleaning. 2. M. Asfia, M. M. Pedram and A. M. Rahmani, Main Content Extraction from Detailed Web Pages. International Journal of Computer Applications- 2010. 3. C. Kohlschutter, P. Fankhauser and W. Nejdl, Boilerplate Detection using Shallow Text Features. WSDM- 2010. 4. T. Htwe, N. S. M. Khan, Extracting Data Region in Web Page by Removing Noise using DOM and Neural Network. ICIFE- 2011. 5. R. Gunaundari and Dr. S. Karthikeyan. A Study of Content Extraction from Web Pages Based on Links. IJDKP-2012. 6. S. N. Das, M. Mathew and P. K. Vijayaraghavan. An Efficient Approach for Finding Near Duplicate Web Pages using Mininum Weight Overlapping Method. IJECE-2011. Abstract: Low power design has become the major challenge of present chip designs as leakage power has been rising with scaling of technologies. As modern technology is spreading fast, it is very important to design low power, high performance, and fast responding SRAM (Static Random Access Memory) since they are critical component in high performance processors. The Conventional 6T SRAM cell is very much prone to noise during read operation. To overcome the problems in 6T SRAM cell, researchers have proposed different SRAM topologies such as 8T, 9T, 10T etc. bitcell design. These designs can improve the cell stability but suffer from bitline leakage noise. In this paper, an SRAM memory has been designed to overcome power consumption problem. It also improves the Cell stability by increasing the Read Static-Noise-Margin. Keywords: Fiber nonlinearity; Fiber optic communications, stimulated Brillouin scattering, stimulated Raman scattering. 1. scattering effects in optical Fibers S. P. Singh, R. Gangwar, and N. Singh Department of Electronics and Communication University of Allahabad Allahabad-211002, India. 2. Optical networks: A practical Perspective - Rajiv Ram swami & Kumar S. Sivrajan.2 Ed. 2004. 3. Fiber optic communication Third Edition by Govind P. Agarwal. 4. Optical fiber communication – Gerd Keiser, 3rd ed. 2000. 5. Optical fiber communication – Principles & practice John M.Senior, 2 ed. 2000 PE. 6. Boyd, R. W., Nonlinear Optics, Academic Press, SanDiego, CA, 1992. 7. Shen, Y. R. and N. Bloembergen, “Theory of stimulated brillouin and raman scattering,” Phys. Rev. A, Vol. 137, 1787–1805, 1965.8. Nikles, M., L. Thevenaz, and P. A. Robert, “Brillouin gain spectrum characterization in single-mode optical fiber,” J. Lightwave. Tech., Vol. 15, 1842–1851, 1997. 9. Cotter, D., “Observation of stimulated Brillouin scattering in lowloss silica fiber at 1.3 μm,” Electron. Lett. Vol. 18, 495–496, 1982. 10. Tkach, R. W., A. R. Chraplyvy, and R. M. Derosier, “Spontaneous Brillouin scattering for single-mode optical fiber characterization,”Electron. Lett. Vol. 22, 1011–1013, 1986. 11. Smith, R. G., “Optical power handling capacity of low optical fibers as determined by stimulated Raman and Brillouin scattering,” Appl. Opt., Vol. 11, 2489–2494, 1972. 12. Stolen, R. J., “Polarization effects in Raman and Brillouin lasers,” IEEE J. Quantum Electron., Vol. QE-15, 1157–1160, 1979. 13. Forghieri, F., R. W. Tkach, and A. R. Chraplyvy, “Fiber nonlinerities and their impact on transmission systems,” Optical Fiber Telecommunications-III, I. P. Kaminow and T. L. Koch (eds. ), Vol. A, Academic Press, New York, 1997. 14. Kotate, K. and M. Tanaka, “Distributed fiber Brillouin strain sensing with 1-cm spatial resolution by correlation-based continuous-wave technique,” IEEE Photon. Tech. Lett., Vol. 14, 179–181, 2002. 15. Lan, G.-L., P. K. Banerjee, and S. S. Mitra, “Raman scattering in optical fibers,” J. of Raman Spectrosc., Vol. 11, 416–423, 1981. 16. Ohmori, Y., Y. Sasaki, and T. Edahiro, “Fiber-length dependence of critical power for stimulated Raman scattering,” Electron. Lett, Vol. 17, No. 17, 593–594, 1981. 17. Aoki, Y., “Properties of Raman amplifier and their applicability to digital optical communication systems,” J. Lightwave. Tech., Vol. LT-6, 1225–1239, 1988. 18. Anupam, R., M. Chandran, C. K. Anandan, P. Mohanan, and K. Vasudevan, “Scattering behavior of fractal based metallodielectric structures,” Progress In Electromagnetics Research, PIER 69, 323–339, 2007. Abstract: The nonlinear scattering effects in optical fiber occur due to thermal molecular vibrations within the fiber. Due to molecular vibration produces the phonon. This phonon also produces due to incident photon. This paper describes basic of SBS (stimulated Brillouin scattering) & SRS (stimulated Raman scattering).Also do the comparative study of their thresholds, reduction in power penalty and applications. Keywords: CMOS logic, SRAM, VLSI, Read-Static Noise Margin (SNM), Stability and Power Consumption. 1. E. Seevinck et al., “Static-Noise Margin Analysis of MOS SRAM Cells,” IEEE J.Solid-State Circuits, vol.SC-22, no.5 pp.748-754, Oct. 1987. 2. Benton H. Calhaun, Anantha P. Chandrakasan “Static Noise Margin Variation for Sub-threshold SRAM in 65 nm CMOS”, IEEE Journal of Solid-State Circuits,, pp.1673-1679. vol.41,July 2006. 3. Benton H. Calhoun Anantha P. Chandrakasan, “Analyzing Static Noise Margin for Sub-threshold SRAM in 65nmCMOS”,ESSCIRC,2005. 4. S. Tavva et al. “Variation Tolerant 9T SRAM Cell Design” GLSVLSI’10,pp.55-60,may 16, 2010. 5. Arandilla,C.D.C et al.“Static Noise Margin of 6T SRAM Cell in 90-nm CMOS” IEEE 13th International Conference on computer modeling and Simulation, pp.534-539,March 30,2011. 6. E. Grossar “Read Stability and Write-Ability Analysis of SRAM Cells for Nanometer Technologies”, IEEE J.Solid-State Circuits,vol.41,no.11 ,pp. 2577-2588,Nov. 2006. 7. S. Nakata et al.,“Increasing Static Noise Margin of Single-bit-line SRAM Lowering Bit-line Voltage during Reading”.IEEE 54th International Midwest Symposium on Circuits and Systems 2011.pp.1-4,7 Aug,2011. 8. K. Takeda et al., “A Read-Static-Noise-Margin- Free SRAM Cell for Low-VDD and High-Speed Applications,” IEEE J.Solid-State Circuits,vol.41, no.1 pp.113-121, Jan., 2006. 10. S.Birla et a.l.“Static Noise Margin Analysis of Various SRAM Topologies”IACSIT, pp.304-309,vol.3,No.3,june 2011. 11. L. Chang et al., “Stable SRAM cell design for the 32 nm node and beyond,” in Symp. VLSI Technology Dig., Jun. 2005, pp. 128–129. 12. Sung Mo Kang and Yusuf Leblebici, “CMOS digital integrated circuits-analysis and design,” Tata McGraw-Hill, third edition, 2003. Abstract: The substance (context) information in the context-aware systems may be about human, entity and computing situations has a powerful temporal aspect i.e. for a specific period of time it remains valid. This property can be exploited in caching mechanisms that desired to exploit such locality of reference. Substance information The substance information have varying temporal validity durations and a varied spectrum of access frequencies. This variation affects the suitability of a single caching strategy and an ideal caching mechanism should utilize dynamic strategies based on the type of substance data, access patterns and quality of service heuristics and frequencies of context consuming applications. This paper investigates the various context-caching strategies and proposes a novel bipartite caching mechanism in a Cloud-based substance provisioning system. The bipartite context caching mechanism is achieved through both simulation and deployment in a Cloud platform. 7. Floreen P, Przybilski M, Nurmi P, Koolwaaij J, Tarlano A, Wagner M, Luther M, Bataille F, Boussard M, Mrohs B, et al (2005). Towards a context management framework for mobiLife. 14th IST Mobile & Wireless Summit 7. Abstract: Tree species with shallow dormancy are used for reforestation by airplane sowing in order to establish forest in mountain areas. To enhance germination and the quality of young seedling, an electrostatic field is used to treat pine seeds soaked with 100 ppm of gibberellic acid (GA3). The experimental results showed that the multiple factors treatment of the seeds is better than a single factor, and the treatment effect depended on the dosage, process and vigor index of the seeds. The optimal dosage was 500 kV/m 10 minutes for 50-100 ppm soaked seeds to improve germination, seedling height and root length during initial germination and middle and later stages of seedling development. 1. Lund EJ. Bio-Electric Fields and Growth. Austin, Texas, 1947. 2. Murr LE. Plant growth response in a simulated electric field-environment. Nature. 1963; 200: 490-491. 3. Murr LE. Mechanism of plant cell damage in an electrostatic field. Nature. 1964; 201: 1305-1306. 4. Murr LE. Biophysics of plant growth in an electrostatic field. Nature. 1965; 206: 467-470. 5. Jorgensen I, and Priestley JH. The distribution of the overhead electrical discharge employed in recent agricultural experiments. J. Agriculture Science. 1914; 6: 337-348. 6. Shibusawa M and Shibata KJ. Elect. Eng. (Japan).1927; 473:1. 7. Griffin JE and Kornblueh IH. Intern. J. Biomet.1966; 6: 29. 8. Gui ZB, Piras A, Qiao LM. Improving tree seed germination by electrostatic field. International Journal of Recent Technology and Engineering. 2013; 1: 87-89. 9. Z. X. Luo and T. C. Jannett, “Optimal threshold for locating targets within a surveillance region using a binary sensor network”, Proc. of the International Joint Conferences on Computer, Information, and Systems Sciences, and Engineering (CISSE 09), Dec. 2009. 10. Masazade E, Ruixin Niu. and Varshney PK, "Dynamic Bit Allocation for Object Tracking in Wireless Sensor Networks," IEEE Trans. Signal Process., vol.60, no.10, pp.5048-5063, Oct. 2012. 11. Z. X. Luo and T. C. Jannett, “Modeling Sensor Position Uncertainty for Robust Target Localization in Wireless Sensor Networks”, in Proc. of the 2012 IEEE Radio and Wireless Symposium, Santa Clara, CA, Jan. 2012. (In press). 12. Z. X. Luo and T. C. Jannett, “Energy-Based Target Localization in Multi-Hop Wireless Sensor Networks”, in Proc. of the 2012 IEEE Radio and Wireless Symposium, Santa Clara, CA, Jan. 2012. 13. International Seed Testing Association, International Rules for Seed Testing, Rules 1996. 14. Krueger AP, Kotaka S, and Andriese PC. J. Gen. Physiol. 1962; 45: 879. 15. Edwards DK. Influence of electrostatic field on pupation and oviposition in Nepytia Phantasmaria Stkr. (Lepidoptera: Geometridae). Nature. 1961; 191: 976-993. 16. Sidaway GH. Influence of electrostatic field on seed germination. Nature. 1966; 211: 303. 17. Pammenter NW, Adamson JH, Berjak P. Viability of stored seed: extension by cathodic protection. Science. 1974; 186: 1123-1124. Abstract: Excessive demand of power is always difficult to meet and as a result national economy is being hampered severely due to this deregulation of electricity. Unfortunately most IPS i.e., Instant Power Supply system has poor charge controlling mechanism which makes it a massive power consumer. The cost of solar panel and the consumers’ awareness to preserve AC power has stimulated the demands of high effective Grid connected power sources. Here the designed interfacing PWM inverter is operated by both solar energy and storage batteries that highly satisfies the necessity in rural areas where National Grids are hardly available and power cut problem reduces the effectiveness of IPS. Solar energy gets priority rather than AC source to charge storage battery that may save hundreds of mega watts power every day. To extend the battery lifetime and keep system components hazard-free, it includes exact battery-level sensing, charging-current controlling by microcontroller unit (MCU) and a cumulative DC/AC MPPT (Maximum Power Point Tracking) charges to obtain maximum PV energy from AC Solar Modules. Keywords: Charge controller, Grid, inverter, MPPT charger, PWM, Solar energy. 1. M.Lotia, P.Nair. Modern digital Inverter: Bpb publications, 2nd edition New Delhi, India, pp.2–7. 3. F.Shinjo, K.Wada, T. Shimizu. A single phase Grid-connected inverter with a power decoupling function: Power Electronics Specialists Conference, 2007 and IEEE PESC 2007. 4. David. A. Bell, Electronic Devices & Circuits, Prentice-Hall India, Fourth Edition. 5. Microchip: Intelligent power supply design solutions. Abstract: The binary adder is the critical element in most digital circuit designs including digital signal processors (DSP) and microprocessor data path units. As such, extensive research continues to be focused on improving the power delay performance of the adder. High speed and low power Arithmetic units are required for applications of digital signal processing like Fast Fourier Transform, Finite Impulse Response filters, convolution etc. The present work focused on designing of high performance low power 8-bit parallel prefix adder structure. For improving the speed and to reduce the power, we have reduced the static power and dynamic power. The design is simulated using Xilinx 13.2 ISE and implemented on Spartan 3 FPGA Board. Keywords: Parallel Prefix Adder, Propagation signal, Power, Delay. 1. Sivannarayana Gandikota, Raveendra babu Maddasani and Padmasree CH. “Design and Implementation of Carry Tree Adders using Low Power FPGAs” International Journal of Advanced Research in Computer Engineering & Technology September 2012 pp no. 295- 299. 2. Peter Celinski, Jose F. Lopez, S, Al-Sarawi, Derek Abbott “Low depth, low power carry lookahead adders using threshold logic” Microelectronics Journal 33 Springer Publications, 2 August 2002 pp. 1071–1077. journal of VLSI design & Communication Systems (VLSICS) Vol.1, No.4, December 2010 pp 31-46. 4. Shubhajit Roy Chowdhury, Aritra Banerjee, Aniruddha Roy and Hiranmay Saha “Design of High Performance Low Power 16 Bit Arithmetic Units Using Kogge-Stone Parallel Prefix Adder Architectures” Proceedings of SPIT-IEEE Colloquium and International Conference, Mumbai, India Vol. 2 pp 1-5. 5. Douglas J. Smith “HDL CHIP DESIGN- A practical guide designing, synthesizing and simulatimg ASICs and FPGAs using VHDL and Verilog” Doone Publications, June 1997. 6. CMOS power dissipation, http://www.datasheetarchive.com/datasheetpdf/02/DSA0021649.html. 7. Vojin G. Oklobzija, Bart R. Zaydel, Hoang Q. Dao, Sanu Mathew and Ram Krishnamurthy,“Comparison of high-performance VLSI adders in the energy-delay space”, IEEE Trans. VLSI Systems, vol. 13, no. 6, pp. 754-758, June 2005. 8. Schwarzbacher A. Th., Silvennoinen J.P. and Comiskey P.A., “Benchmarking CMOS Adder Structures”, Irish Systems and Signals Conference, Cork, Ireland, pp. 231-234, June 2002. Abstract: In this paper, a high gain small size antennas such as minuscule ICCLMA (Inductively Coupled Capacitively Loaded monopole antenna) with minuscule conformal monopole antenna were designed and compared. These different types of antenna topologies were designed with same dimensions to produce higher gain. We begin with the comparison between the antenna designs, requirements and continue with a discussion issues and simulation results. In fact, each technique is uniquely designed to produce size reduction and higher gain antennas. Among two antennas the minuscule ICCLMA provides high gain is 45.2dB as compared to minuscule conformal monopole antenna. The simulation results are done by using CST Microwave Studio. The minuscule conformal monopole antenna reduces the cross polarization. The minuscule ICCLMA size is 3.393X0.0474mm while the minuscule conformal monopole antenna radius is 0.113mm. Keywords: Antenna radiation patterns, lumped elements, monopole antennas, vertically polarized antennas. 1. Jungsuek Oh and Kamal SarabandI (2012),” Low Profile, Miniaturized Inductively Coupled Capacitively Loaded Monopole Antenna”, IEEE Trans. Antennas Propag., vol. 57, no.1,pp. 1206-1213. 2. Hong W, Behdad N, and Sarabandi K (2004) “Size reduction of cavity backed slot antennas”, IEEE Trans. Antennas Propag., vol. 54, pp. 1461–1466. 3. Behdad N and Sarabandi K (2004), “Bandwidth enhancement and further size reduction of a class of miniaturized slot antennas”, IEEE Trans. Antennas Propag., vol. 52, pp. 1928–1935. 4. Goubau G (1976), “Multielement monopole antennas”, in Proc. Workshop on Electrically Small Antennas ECOM, Ft., Monmouth, NJ, pp.63–67. 5. Rowell C .R and Murch R. D (1997), “A capacitively loaded PIFA for compact mobile telephone handsets”, IEEE Trans. Antennas Propag., vol.45, pp. 837–842. 6. Hala Elsadek (2011), “Microstrip Antennas for Mobile Wireless Communication Systems” CC BY-NC-SA 3.0 license, in subject Electrical and Electronic Engineering. 7. Steven R.Best (2011), “A Discussion on Electrically Small Antennas Loaded with High Permittivity and Permeability Materials”, The MITRE Corporation. 8. Kulbir Singh, Vinit Grewal, Rajiv Saxena (2009), “Fractal Antennas: A Novel Miniaturization Technique for Wireless Communications”, ECED, Thapar University, Patiala, India; National Institute of Technology, Jalandhar, India; Jay Pee Institute of Engineering and Technology, Raghogarh, Guna, M.P, India. 9. Brad A. Kramer (2007), “Size reduction of an UWB low-profile spiral antenna”, Ohio State University, Electrical Engineering. 11. Chiu C.Y, Shum K.M and Chan C.H (2007), “A tunable via-patch loaded PIFA with size reduction”, IEEE Trans. Antennas Propag., vol. 55, no.1, pp. 65–71. 12. Liao D and Sarabandi K (2008), “Terminal-to-terminal hybrid full-wave simulation of low-profile, electrically-small, near-ground antennas”, IEEE Trans. Antennas Propag., vol. 56, no. 3, pp. 806–814. 13. Liao D and Sarabandi K (2005) “Optimization of low-profile antennas for applications in unattended ground sensor networks”, IEEE Trans. Antennas Propag., vol. 53, no. 11, pp. 3747–3756. 14. Bhattacharyya (1991), “Effects of ground plane and dielectric truncations on the efficiency of a printed structure”, IEEE Trans. Antennas Propag. vol. 39, pp. 303–308. 15. Huynh M.C. and Stutzman W (2003) , “Ground plane effects on the planar inverted-F antenna (PIFA) performance”, IEE Proc. Microwave Antennas Propag., vol. 150, no. 4, pp. 209–213. 16. Herscovivi N and Diadem E (1999), “Omni directional antennas for wireless communication”, in Proc. IEEE Int. Symp. Antennas Propag. vol. 1, pp. 556–559. 17. McLean J, Foltz H, and Crook G(1999), “Broadband, robust, low profile monopole incorporating top loading, dielectric loading, and a distributed capacitive feed mechanism”, in Proc. IEEE Int. Symp. Antennas Propag, vol. 3, pp. 1562–1565. 18. Taga T and Tsunoda K (1991), “Analysis of a planar inverted-F antenna by spatial network method” , IEICE, B-2, vol. J74-B-2, no. 10, pp.538–545. 19. Sekine S , Ito T , Odachi N, Murakami Y and Shoki H (2003), “Design method for a broadband inverted-F antenna by parallel resonance mode”, IEICE, B, vol. J86-B, no. 9, pp. 1806–1815. 20. Hong W.B and Sarabandi K (2009),“Low-profile, multi-element, miniaturized monopole antenna”, IEEE Trans. Antennas Propag., vol. 57, no.1, pp. 72–80. 21. Yan-Tao Li, Xiao-Lin Yang, Zhao-Bo Li, Lei Wang, and Hong-Chun Yang (2011).” A unidirectional cylindrical conformal monopole antenna designed for impulse radar system”, IEEE Antennas and wireless propagation letters. Vol. 10, pp. 1397-1400. Abstract: Cloud computing is the arising technology to minimize the user burden in the updation of data in business using internet. Instead of local data storage and maintenance, the user is assisted with the cloud storage so that the user can remotely store their data and enjoy the on-demand high quality application from a shared pool of resources. The data stored must be protected in the cloud storage. To enhance the correctness of data, auditing process is done which is carried out by TPA(Third Party Auditor). The TPA must be efficient to audit without demanding the local copy of data. In this paper we have proposed a method that uses the keyed Hash Message Authentication Code (HMAC) with the Homomorphic tokens to enhance the security of TPA..
1. P. Mell and T. Grance, “Draft NIST working definition of cloud computing”. 2. C. Wang, Q. Wang, K.Ren, and W.Lou, “Privacy-Preserving Public Auditing for Secure Cloud Storage”, in Proc. Of IEEE INFOCOM’10,March 2010. 3. Y. Zhu,Z. Hu,Gail-J Ahn, H. Hu,Stephen S. Yau, Fellow, IEEE, Ho G. An, and Shimin Chen,”Dynamic Audit Services for Integrity Verification of Outsourced Storages in Clouds”,in Proc.of IEEE SAC’11 March 2011. 4. Q. Wang, C. Wang, Kui Ren, W.Lou and Jin Li, “Enabling Public Auditability and Data Dynamics for Storage Security in Cloud Computing”, in IEEE transaction on parallel and distributed system May 2011. 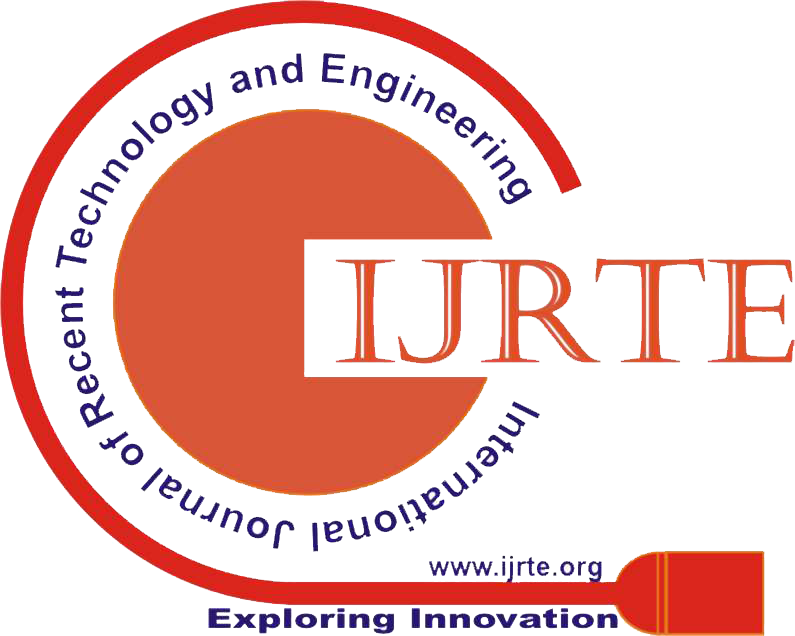 Technology and Exploring Engineering (IJITEE) ISSN: 2278-3075, Volume-1, Issue-3, August 2012. 6. M. A. Shah, M. Baker, J. C. Mogul, and R. Swaminathan, “Auditing to keep online storage service honest”, in Proc. Of HotOS’07, CA, USA: USENIX Association, 2007, pp.1-6. 7. Muralikrishnan Ramane and Bharath Elangovan, “A Metadata Verification Scheme for Data Auditing in Cloud Environment”, International Journal on Cloud Computing: Services and Architecture(IJCCSA), Vol.2, no.4, August 2012. 8. Dalia Attas and Omar Batrafi “Efficient integrity checking technique for securing client data in cloud computing”, October 2011. 9. S. Balakrishnan, G. Saranya, S. Shobana, S. karthikeyan, “Introducing Effective Third Party Auditing(TPA) for Data Storage in Cloud” IJCST Vol. 2, Issue 2, June 2011. Abstract: Digital data is owned, used and enjoyed by many people all over the world. Compressing data is mostly done when we face with problems of constraints in memory. In this paper we have attempted to discuss in general about compression and decompression, the different techniques of compression using ‘Lossless method compression and decompression’ on text data using a simple coding technique called Huffmann coding. Keywords: Lossless text data compression, Huffman coding. 3. Cappellini, V., Ed. 1985. Data Compression and Error Control Techniques with Applications. Academic Press, London. 4. Cortesi, D. 1982. An Effective Text-Compression Algorithm. BYTE 7, 1 (Jan.), 397-403. 5. Glassey, C. R., and Karp, R. M. 1976. On the Optimality of Huffman Trees. SIAM J. Appl. Math 31, 2 (Sept.), 368-378. 6. Knuth, D. E. 1985. Dynamic Huffman Coding. J. Algorithms 6, 2 (June), 163-180. 7. Llewellyn, J. A. 1987. Data Compression for a Source with Markov Characteristics. Computer J. 30, 2, 149-156. 8. Pasco, R. 1976. Source Coding Algorithms for Fast Data Compression. Ph. D. dissertation, Dept. of Electrical Engineering, Stanford Univ., Stanford, Calif.
9. Rissanen, J. J. 1983. A Universal Data Compression System. IEEE Trans. Inform. Theory 29, 5 (Sept.), 656-664. 10. Tanaka, H. 1987. Data Structure of Huffman Codes and Its Application to Efficient Encoding and Decoding. IEEE Trans. Inform. Theory 33, 1 (Jan.), 154-156. 11. Ziv, J., and Lempel, A. 1977. A Universal Algorithm for Sequential Data Compression. IEEE Trans. Inform. Theory 23, 3 (May), 337-343. 12. Giancarlo, R., D. Scaturro, and F. Utro. 2009. Textual data compression in computational biology: a synopsis. Bioinformatics 25(13): 1575-1586. 14. Stephen Wolfram, A New Kind of Science (Wolfram Media, 2002), page 1069. Abstract: Data mining is extensively studied field of research area; where most of the work is emphasized over knowledge discovery. Data stream mining is active research area of data mining. A data stream is a massive sequence of data elements continuously generated at a rapid rate. In streaming huge amount of data continuously inserted and queried such data has very large database. Streaming data analysis has recently attracted attention over data stream rather than mining large data sets in data mining community. Outlier Detection as branch of data mining has many applications in data stream analysis and requires more attention. Finding and removing outlier over data stream is very important aspect in data mining. Detecting outlier and analyzing data stream for large dataset we can consider two main groups where one group refers to data stream and data mining techniques and second group refers to different efficient algorithm to mine data stream. Detecting outliers and analyzing large data sets can lead to discovery of unexpected knowledge in area such as fraud detection, telecommunication, web logs, and web document and click stream, etc. In this paper we try to clarify problem with detecting outlier over Dynamic data stream and specific techniques used for detecting outlier over streaming data in data mining..
1. J. Han and M. Kamber, Data Mining: Concepts and Techniques, Morgan Kaufmann, San Francisco, 2006. 3. D.M. Hawkins, Identification of Outliers, London: Chapman and Hall, 1980. 4. V. Barnett and T. Lewis, Outliers in Statistical Data, New York: John Wiley Sons, 1994. 5. Y. Zhang, N. Meratnia, and P.J.M. Havinga, A Taxonomy Framework for Unsupervised Outlier Detection Techniques for Multi-Type Data Sets,Technical Report, University of Twente, 2007. 6. P.N. Tan, M. Steinback, and V. Kumar, Introduction to Data Mining, Addison Wesley, 2006.
pp. 41-48. Springer Berlin Heidelberg, 2007. 8. Jiang, N. and Gruenwald, L. 2006. Research issues in Data Stream Association Rule Mining. ACM SIGMOD RECORD, Volume 35, Issue 1. Pages 14 -19. 9. Lazarevic, A. Ozgur, L. Ertoz, J. Srivastava, and V. Kumar, AComparative Study of Anomaly Detection Schemes in Network Intrusion Detection, SIAM Conference on Data Mining, 2003. 10. K. Yamanishi et al, 2004. On-line unsupervised outlier detection using finite mixtures with discounting learning algorithms. In Proceedings of Data Min. Knowledge Discovery. Vol. 8, No. 3, pp 275-300. 12. R. Nuts and P. Rousseeuw, 1996. Computing depth contours of bivariate point clouds. Computational Statistics andData Analysis, Vol 23, No 2, pp 153-168. 13. Knorr, E.M., Ng, R.T., "Finding Intentional Knowledge of Distance-Based Outliers", Proceedings of the 25th International Conference on Very Large Data Bases, Edinburgh, Scotland, pp.211-222, September 1999. 14. Ramaswamy S., Rastogi R., Kyuseok S.:Efficient Algorithms for Mining Outliers from Large Data Sets,Proc. ACM SIDMOD Int. Conf. on Management of Data, 2000. 15. F. Angiulli and C. Pizzuti, 2002. Fast outlier detection in high dimensional spaces. In Procedings of PKDD’02, 2002. SIGKDD International Conference on Knowledge Discovery and Data Mining. pp 29-38. 17. J. W. Branch et al, 2006, In-network outlier detection in wireless sensor networks, In 26th IEEE International Conference on Distributed Computing Systems (ICDCS'06), pp 49. 20. Sadik, S. and Gruenwald, L. 2010. DBOD-DS: Distance Based Outlier Detection for Data Stream. DEXA’ 10. 21. M. F. Jiang et al, 2001. Two-phase clustering process for outlier detection. Pattern Recognition Letters. Vol 22, No.6-7, pp 691-700.22. Z. He et al, 2003. Discovering cluster based local outliers. Pattern Recognition Letters. Vol 24, No. 9-10, pp 1641-1650. Management. Lecture Notes in Computer Science, Springer- Verlag, London, Vol. 2419. pp 126-131. 24. C. C. Aggarwal and P. S. Yu., 2001. Outlier detection for high dimensional data. In Proc. 2001 ACM-SIGMOD Int.Conf. Management of Data (SIGMOD'01), pp37-46. 25. Anguiulli, F. and Fassetti, F. 2007. Detecting Distance-Based Outliers in Streams of Data. CIKM' 07. Pages 811 - 820. 26. Basu, S. and Meckesheimer, M. 2007. Automatic outlier detection for time series: an application to sensor data. Knowledge Information System. Pages 137 – 154. 27. Curiac, D., Banias O., Dragan F., Volosencu C., and Dranga O. 2007. Malicious Node Detection in Wireless Sensor Networks Using an Autoregression Technique. ICNS' 07. Pages 83 – 88. 28. Puttagunta, V. and Kalpakis, K. 2002. Adaptive Methods for Activity Monitoring of Streaming Data. ICMLA' 02, Pages 197-203. 29. M. M. Gaber, Data Stream Processing in Sensor Networks. In J. Gamaand M. M. Gaber, Learning from Data Streams Processing Techniquesin Sensor Network, pp. 41-48. Springer Berlin Heidelberg, 2007. Abstract: Cloud computing is a computing paradigm in which tasks are assigned to a combination of connections, software and services that can be accessed over internet. A major advantage of a cloud computing is enabling the distributed or remote access from known or unknown machines at any time. While Accessing the Cloud Services, the data owner faces a lot of issues related to security services (while sharing their data). To overcome these security issues, we provide automated – decentralized mechanism to capture and monitor the every usage of the users from various location. In this paper, we proposed a logging mechanism to keep track of the actual usage of the system. We leverage the jar file mechanism to ensure any data access will trigger authentication and automated logging mechanism. To consolidate user’s control, we provide distributed auditing mechanisms, we also provide comprehensive experimental studies that demonstrate the efficiency and effectiveness of the proposed approaches. Keywords: Cloud computing, data sharing, data security. 1. S. Sundareswaran, A. Squicciarini, D. Lin, and S. Huang, “Promoting Distributed Accountability in the Cloud,” Proc. IEEE Int’l Conf. Cloud Computing, 2011. 2. D. Boneh and M.K. Franklin, “Identity-Based Encryption from the Weil Pairing,” Proc. Int’l Cryptology Conf. Advances in Cryptology, pp. 213-229, 2001. 3. Squicciarini, S. Sundareswaran, and D. Lin, “Preventing Information Leakage from Indexing in the Cloud,” Proc. IEEE Int’l Conf. Cloud Computing, 2010. 4. Schneier, Applied Cryptography: Protocols, Algorithms, and Source Code in C. John Wiley & Sons, 1993. 5. D.J. Weitzner, H. Abelson, T. Berners-Lee, J. Feigen-baum, J. Hendler, and G.J. Sussman, “Information Accountability,” Comm. ACM, vol. 51, no. 6, pp. 82-87, 2008. 6. Reed-Solomon Codes and Their Applications, S.B. Wicker and V.K. Bhargava, ed. John Wiley & Sons, 1999. 7. S. Pearson, Y. Shen, and M. Mowbray, “A Privacy Manager for Cloud Computing,” Proc. Int’l Conf. Cloud Computing (CloudCom), pp. 90-106, 2009. 8. S. Pearson and A. Charlesworth, “Accountability as a Way Forward for Privacy Protection in the Cloud,” Proc. First Int’l Conf. Cloud Computing, 2009. 9. J.H. Lin, R.L. Geiger, R.R. Smith, A.W. Chan, and S. Wanchoo, Method for Authenticating a Java Archive (jar) for Portable Devices, US Patent 6,766,353, July 2004. 10. R. Corin, S. Etalle, J.I. den Hartog, G. Lenzini, and I. Staicu, “A Logic for Auditing Accountability in Decentralized Systems,” Proc. IFIP TC1 WG1.7 Workshop Formal Aspects in Security and Trust, pp. 187-201, 2005. 11. P. Ammann and S. Jajodia, “Distributed Timestamp Generation in Planar Lattice Networks,” ACM Trans. Computer Systems, vol. 11 , pp. 205-225, Aug. 1993. Abstract: GLCD-Touchpad Based Restaurant Ordering & Automatic serving System is a concept with a new innovative idea in the field of Hospitality Industry. The concept of this project has conceived in mind on observing take away fast food outlets , Mc Donald counters, Sub Way counters, Punch screens at various fast food restaurants etc. In restaurant most items are listed in menu by names only. They don’t have brief or detailed description of any dish, so fearing how would they taste, what would be the ingredients, we end up ordering regular items. Considering these problems we came up with an idea of having digital ordering system. The concept is we can browse the menus/sub-menus by jus fingertip. The items would be well defined & descripted and the selected order will be served over the conveyer belt to the particular table. 4. Author John (2002), Fairall An introduction to Low Power Radio. Abstract: This paper presents a comprehensive review on the unified power quality conditioner (UPQC) to improve electric power quality. This is intended to present a broad overview on the different possible intelligent controls used with UPQC. Keywords: Active power filters, ANN, Fuzzy logic controller, Power quality, Unified Power Quality Conditioner (UPQC). 2. .B. Singh, K. Al-Haddad, and A. Chandra, “A review of active filters for power quality improvement,” IEEE Trans. Ind. Electron., vol. 46, no. 5, pp. 960–971, Oct. 1999. 3. M. El-Habrouk, M. K. Darwish, and P. Mehta, “Active power filters: A review,” IEE Electr. Power Appl., vol. 147, no. 5, pp. 403–413, Sep. 2000. 4. F. Kamran and T. G. Habetler, “Combined deadbeat control of a seriesparallel converter combination used as a universal power filter,” in Proc. Power Electron. Spec. Conf., Jun. 18–22, 1995, pp. 196–201. 6. H. Fujita and H. Akagi, “The unified power quality conditioner: The integrationof series and shunt-active filters,” IEEE Trans. Power Electron.,vol. 13, no. 2, pp. 315–322, Mar. 1998. 7. B. N. Singh, A. Chandra, K. Al-Haddad, and B. Singh, “Fuzzy controlalgorithm for universal active filter,” in Proc. Power Quality Conf., Oct.14–18, 1998, pp. 73–80. 8. M. Aredes,K.Heumann, and E.H.Watanabe, “An universal active power line conditioner,” IEEE Trans. Power Del., vol. 13, no. 2, pp. 545–551, Apr. 1998.
in Proc. Power Eng. Soc. Winter Meet., Jan. 23–27, 2000, pp. 2757–2762. 10. M. Hu and H. Chen, “Modeling and controlling of unified power quality conditioner,” in Proc. Adv. Power Syst. Control, Operation Manage.,Oct. 30–Nov. 1, 2000, pp. 431–435. 11. D. Graovac, V. Katic, and A. Rufer, “Power quality compensation using universal power quality conditioning system,” IEEE Power Eng. Rev., vol. 20, no. 12, pp. 58–60, Dec. 2000. 12. R. C. Dugan, M. F. McGranaghan, and H. W. Beaty, Electrical PowerSystems Quality. New York: McGraw-Hill, 1996. 14. IEEE Recommended Practices and Requirements for Harmonic Controlin Electrical Power Systems, IEEE Standard 519-1992, 1992. 15. IEEE Standard for Interconnecting Distributed Resources With Electric Power Systems, IEEE Standard 1547-2003, 2003. 16. N. G. Hingorani and L. Gyugyi, Understanding FACTS: Concepts and Technology of Flexible AC Transmission Systems. New York: Institute of Electrical and Electronics Engineers, 2000. 17. V. K. Sood, HVDC and FACTS Controllers—Applications of Static Converters in Power Systems. Boston, MA: Kluwer, 2004. 18. Ghosh and G. Ledwich, Power Quality Enhancement Using Custom Power Devices. Boston, MA: Kluwer, 2002. 19. Elnady and M. M. A. Salama, “New functionalities of an adaptive unified power quality conditioner,” in Proc. Power Eng. Soc. Summer Meet., 2001, pp. 295–300. 20. S. Chae, W. C. Lee, D. S. Hyun, and T. K. Lee, “An overcurrent protection scheme for series active compensators,” in Proc. 27th Annu. Conf. IEEE Ind. Electron. Soc., 2001, pp. 1509–1514. 21. E. H. Watanabe and M. Aredes, “Power quality considerations on shunt/series current and voltage conditioners,” in Proc.10th Int. Conf. Harmonics Quality Power, Oct. 6–9, 2002, pp. 595–600. 22. Pievatolo, E. Tironi, I. Valade, and G. Ubezio, “UPQC reliability analysis,” in Proc. 10th Int. Conf. Harmonics Quality Power, Oct. 6–9, 2002, pp. 390–397. 23. P. Rodriguez, L. Sainz, and J. Bergas, “Synchronous double reference frame PLL applied to a unified power quality conditioner,” in Proc. 10th,Int. Conf. Harmonics Quality Power, Oct. 6–9, 2002, pp. 614–619. 24. J. Prieto, P. Salmeron, J. R. Vazquez, and J. Alcantara, “A series–parallel configuration of active power filters for VAr and harmonic compensation,” in Proc. IEEE 28th Annu. Conf. Ind. Electron. Soc., Nov. 5–8, 2002, pp. 2945–2950. 25. Elnady, W. El-khattam, and M. M. A. Salama, “Mitigation of AC arc furnace voltage flicker using the unified power quality conditioner,” in Proc. Power Eng. Soc. Winter Meet., 2002, pp. 735–739. 26. M. T. Haque, T. Ise, and S. H. Hosseini, “A novel control strategy for unified power quality conditioner (UPQC),” in Proc. Power Electron. Spec. Conf., 2002, vol. 1, pp. 94–98. 27. G. Jianjun, X. Dianguo, L. Hankui, and G. Maozhong, “Unified power quality conditioner (UPQC): The principle, control and application,” in Proc. Power Convers. Conf., 2002, pp. 80–85. 28. L. H. Tey, P. L. So, and Y. C. Chu, “Neural network-controlled unified power quality conditioner for system harmonics compensation,” in Proc. IEEE/PES Transmiss. Distrib. Conf. Exhib., 2002, pp. 1038–1043. 29. R. Faranda and I. Valade, “UPQC compensation strategy and design aimed at reducing losses,” in Proc. IEEE Int. Symp. Ind. Electron., 2002, pp. 1264–1270. 30. L. F. C. Monteiro, M. Aredes, and J. A. Moor Neto, “A control strateg for unified power quality conditioner,” in Proc. Int. Symp. Ind. Electron., Jun. 9–11, 2003, pp. 391–396. 31. M. Correa, S. Chakraborty, G. Simoes, and A. Farret, “A single phase high frequency ACmicrogrid with an unified power quality conditioner,” in Proc. IEEE Int. Symp. Ind. Electron., Jun. 9–11, 2003, pp. 956–962. 32. J. Liu, Y. He, Y. Ye, and X. Wang, “An unified scheme and respective algorithms for the control of DC-linked double converters in an universal power quality controller,” in Proc. Power Electron. Spec. Conf., Jun. 15– 19, 2003, pp. 327–332. 33. S. W. Park, I. Y. Chung, J. H. Choi, S. I. Moon, and J. E. Kim, “Control schemes of the inverter-interfaced multi-functional dispersed generation,” in Proc. Power Eng. Soc. Gen. Meet., Jul. 13–17, 2003, pp. 1924– 1929. 35. Ghosh, A. K. Jindal, and A. Joshi, “Inverter control using output feedback for power compensating devices,” in Proc. Convergent Technol. Conf., Oct. 15–17, 2003, pp. 48–52. 36. P. Zhu, X. Li, Y. Kang, and J. Chen, “A novel control scheme in 2-phase unified power quality conditioner,” in Proc. 29th Annu. Conf. IEEE Ind. Electron. Soc., Nov. 2–6, 2003, pp. 16917–1622. 37. Ghosh, A. K. Jindal, andA. Joshi, “Aunified power quality conditioner for voltage regulation of critical load bus,” in Proc. Power Eng. Soc. Gen. Meet., Jun. 6–10, 2004, pp. 471–476. 38. Y. Cheng and L. Philippe, “Advanced control methods for the 3-phase unified power quality conditioner,” in Proc. Power Electron. Spec. Conf., Jun. 20–25, 2004, pp. 4263–4267. 39. J. Tlusty and V. Valouch, “Effectiveness of unified power quality conditioner for flicker mitigation,” in Proc. 4th Int. Power Electron. Motion Control Conf., Aug. 14–16, 2004, pp. 902–907. 40. V. Khadkikar, P. Agarwal, A. Chandra, A. Barry, and T. Nguyen, “A simple new control technique for unified power quality conditioner (UPQC),” in Proc. 11th Int. Conf.Harmonics Quality Power, Sep. 12–15, 2004, pp. 289–293. 41. Esfandiari, M. Parniani, and H. Mokhtari, “Mitigation of electric arc furnace disturbances using the unified power quality conditioner,” in Proc. 30th Annu. Conf. Ind. Electron. Soc., Nov. 2–6, 2004, pp. 1469– 1474. 42. A. Sepulveda, J. R. Espinoza, L. A. Moran, and R. Ortega, “Analysis and design of a linear control strategy for three-phase UPQCs,” in Proc. 30th Annu. Conf. IEEE Ind. Electron. Soc., Nov. 2–6, 2004, vol. 3, pp. 3060–3065. 43. F. Ng, M. C. Wong, and Y. D. Han, “Analysis and control of UPQC and its DC-link power by use of p-q-r instantaneous power theory,” in Proc. Power Electron. Syst. Appl., Nov. 9–11, 2004, pp. 43–53. 44. L. H. Tey, P. L. So, and Y. C. Chu, “Unified power quality conditioner for improving power quality using ANN with hysteresis control,” in Proc. Int. Conf. Power Syst. Technol., Nov. 21–24, 2004, pp. 1441–1446. 46. R. Strzelecki, G. Benysek, J. Rusinski, and H. Debicki, “Modeling and experimental investigation of the small UPQC systems,” in Proc. Compat. Power Electron., Jun. 1, 2005, pp. 223–237. 47. J. R. Reyes, J. R. Espinoza, and C. Sepulveda, “Operating region of single-phase UPQCs,” in Proc. Power Electron. Spec. Conf., Jun. 16, 2005, pp. 1726–1731. 48. M. Khoor andM.Machmoum, “Simplified analogical control of a unified power quality conditioner,” in Proc. Power Electron. Spec. Conf., Jun. 16, 2005, pp. 2565–2570. 49. J. Correa, F. Farret, and M. Simoes, “Application of a modified singlephase P-Q Theory in the control of shunt and series active filters in a 400 Hz microgrid,” in Proc. Power Electron. Spec. Conf., Jun. 16, 2005, pp. 2585–2591. 50. M. Aredes, J. A. Moor, J. C. Ferreira, L. F. Monteiro, R. M. Fernandes, and M. J. Siqueira, “A simplified control strategy for a unified power quality conditioner prototype,” in Proc. Power Electron. Spec. Conf., Jun. 16, 2005, pp. 2592–2597. 51. J. Prieto, P. Salmeron, and R. S. Herrera, “A unified power quality conditioner for wide load range: Practical design and experimental results,” in Proc. IEEE Russia Power Technol., Jun. 27–30, 2005, pp. 1–7. 52. S. Chakraborty and M. Simoes, “Fuzzy ARTMAP based forecast of renewable generation for a high frequency AC microgrid,” in Proc. 31st Annu. Conf. IEEE Ind. Electron. Soc., Nov. 6, 2005, pp. 1–6. 53. K. Kwan, P. So, and Y. Chu, “Unified power quality conditioner for improving power quality using MVR with Kalman filters,” in Proc. 7t h Int. Power Eng. Conf., Nov. 29–Dec. 2, 2005, pp. 980–985. 54. R. Strzelecki, J. Rusinski, and M. Jarnut, “Properties, simulation and experimental investigation of the series–parallel active power filters,” in Proc. Eur. Conf. Power Electron. Appl., 2005, pp. 1–9. Abstract: Everyone using the Web, experiences how the connection to a popular web site may be very slow during rush hours and it is well known that web users tend to leave a site if the wait time for a page to be served exceeds a given value. Therefore, performance and service quality attributes have gained enormous relevance in service design and deployment. This has led to the development of Web benchmarking tools largely available in the market. One of the most common critics to this approach, is that synthetic workload produced by web stressing tools is far to be realistic. Moreover, Web sites need to be analyzed for discovering commercial rules and user profiles, and models must be extracted from log files and monitored data. This paper deals with a benchmarking methodology based on the integrated usage of web mining techniques and standard web monitoring and assessment tools. Keywords: web mining, pattern extraction, usage mining, preprocessing. 1. “XML Based Web Usage Mining In Server Logs”, Y.S.S.R Murthy, L.Balaji & Lakshmi Tulasi.Ambat. 2. Hamami, M. Ala’a, S. Hasan. (2006). Applying Data Mining Techniques in Intrusion Detection System on Web and Analysis of Web Usage, Information Technology Journal, 2006. 3. C.J. Ezeife, J. Dong, A.K. Aggarwal. (2007). SensorWebIDS: A Web Mining Intrusion Detection System, International Journal of Web Information Systems, volume 4, pp. 97-120, 2007. 4. C. Kruegel, G. Vigna. (2003). Anomaly Detection of Web-based Attacks, CCS, 2003. 5. G. Shiva, N.V. Suba, U. Dinesh. (2010). Knowledge Discovery from Web Usage Data: A survey of Web Usage Pre-processing Techniques, Springer, 2010. 7. K.R. Suneetha, Dr. R. Krihnamoorthi. (2009). Identifying User Behavior by Analyzing Web Server Access Log File, IJCSNS, 2009. 8. L.K. Joshila Grace, V.Maheswari, Dhinaharan Nagamalai. (2011). Analysis of web logs and web user in web mining, IJNSA, 2011. 9. Jaideep Srivastava , Robert Cooley, Mukund Deshpande, Pang-Ning Tan, Web Usage Mining: Discovery and Applications of Usage Patterns from Web Data, SIGKDD Explorations, Volume 1, Issue 2- Pages 12-23. Abstract: the electoral process in Nigeria is known with tedious activities and time consuming. There is a serious problem in terms of delivering the electoral facilities to the voting station and securing such facilities. even before this activities there must be training of personal that will be involve in such exercise with involve huge amount of money and time consuming. it is in line with this problem the researcher intend to develop an online electronic voting systems to checkmate those problems. Each voter will be screen for eligibility, thereafter the information will be store in database so that at any time the voter can login and cast his/her vote and monitor the result online. Whenever a voter cast a vote the systems will automatically saves all his records including the ballot, username, address and password for future references. an administrator will then be able to monitor all the process and check for any illegal actions. Keywords: This systems if put into use will increase transparency anaccountability as the observer can monitor all the activitiesduring the registration/poling exercise. 4. Qadah, G.Z., Taha, R.: Electronic voting systems: requirements, design, and implementation. Comput. Stand. Interf. 29(3), 376–386 (2007). 5. M. Keller, A. Dechert, K. Auerbach, D. Mertz, A. Pearl, and J. L. Hall, “A PC-based Open-Source Voting Machine with an Accessible Voter-Verifiable Paper Ballot,” Proceedings of the USENIX Annual Technical Conference, U.S.A., 2005, p.52. 6. Brown, J.S., Duguid, P.: Borderline Issues: Social and material aspects of design. Human-computer interaction. Lawrence Erlbaum Associates, Inc 9(1):3–36 (1994). 7. Yao, Y., Murphy, L.: Remote electronic voting systems: an exploration of voters’ perceptions and intention to use. Eur. J. 8. Syst. 16(2), 106–120 (2007). 9. Smith, A.D.: Acceptability of internet voting and CRM principles among the internet savvy. Int. J. Bus. Inf. Syst. 3(5), 498–528 (2008). 10. Conrad, F.G., Bederson, B.B., Lewis, B., Peytcheva, E., Traugott, M.W., Hanmer, M.J., Herrnson, P.S., Niemi, R.G. : Electronic voting eliminates hanging chads but introduces new usability challenges. Int. J. Hum. Comput. Stud. 67(1), 111–124 (2009). Abstract: Data mining is a broad term that describes the search to extract some meaningful information from data that is unformatted and either unstructured or partially structured Similarly, Fayyad et. al. described it as “The nontrivial process identifying valid, novel, potentially useful, and ultimately understandable patterns in data” . Data mining is also known as knowledge discovery, knowledge extraction, information harvesting, data archeology, and data pattern processing. Although most algorithms provide some unique implementation of each phase, there are several common steps to achieve the goal of identifying patterns in data. Generally, data mining (sometimes called data or knowledge discovery) is the process of analyzing data from different perspectives and summarizing it into useful information - information that can be used to increase revenue, cuts costs, or both. This paper discusses the peculiar data mining and agent mining. It allows users to analyze data from many different dimensions or angles, categorize it, and summarize the relationships identified. Keywords: Data mining peculiar mining, agent based system, multi agent. 1. Ribeiro, K. Kaufman, 1995,knowledge “Discovery From Multiple databases.” In: Proceedings of KDD95. 240-245. 2. Wrobel,1997, “An algorithm for multi Relational discovery of subgroups Principle of Data Mining and Knowledge Discovery, 367-375. 3. J.Yao and H. Liu, 1997,”Searching Multiple Databases for Interesting complexes” Proc. of PAKDD, 198-210. 4. H. Lu, and J.Yao, 1998,”Identifying Relevant Databases for Multidata base mining”Proceedings of pacific Asia conf on Knowledge discover and Data mining 210–221. 5. N.Zhong,Y.Yao, and S. Ohsuga 1999 “Peculiarity Oriented mining in multi Database mining “Proceeding PKDD,136-146. 6. H. Kargupta, K.Sivakumar,B.Park and S.Wang, 2000, “Collective Principal Component Analysis from Distributed Heterogeneous Data.” Principles of Data Mining and knowledge discovery, 452- 457. 8. Kargupta,W. Huang,K. Sivakumar, And E.Johnson, 2001, “Distributed clustering Using collective principalcomponent analysis.” Knowledge and Information Systems, 3(4) : 4 22-448. Abstract: Video compression is vital for efficient archival of entertainment based video (CD/DVD) as well as real-time reconnaissance / video conferencing applications. While ISO MPEG sets the standard for the former types of application, ITU sets the standards for latter low bit rate applications. In the entire motion based video compression process motion estimation is the most computationally expensive and time-consuming process. Motion estimation involves interframe predictive coding, one of the most powerful image coding techniques which calculates motion vectors and can eliminate redundancy in natural scenes. The research in the past few decades has focused on reducing both of these side effects of motion estimation. This paper reviews the literature pertaining to the different types of contemporary block matching algorithms used for motion estimation in video compression. The algorithms that are illustrated in this paper can be adopted by the video compressing community to be implemented in various standards. In addition, the advantages, limitations and applications of these techniques are revealed and guidelines for future research are discussed. Keywords: Video Compression, Motion Estimation, Motion Vectors, predictive coding. 1. Kun Li et al, “Three-Dimensional Motion Estimation via Matrix Completion”, IEEE Transactions On Systems, Man, And Cybernetics—Part B: Cybernetics, Vol. 42, No. 3. Manish Okade and P.K Biswas, “Fast Camera Motion Estimation using Discrete Wavelet Transform on block motion vectors”, 2012 Picture Coding Symposium pp 333- 336. 5. for Motion-Compensated Frame Interpolation” 2012 Picture Coding Symposium pp 325-328. 6. Dongming Zhang et al, “Improved Motion Estimation Based on Motion Region Identification”, International Conference on Systems and Informatics (ICSAI 2012), pp 2034-2037. 7. [C. Ming-Chieh, et al., "Robust Region-of-Interest Determination Based on User Attention Model Through Visual Rhythm Analysis,", IEEE Transactions on Circuits and Systems for Video Technology, Vol. 19, pp. 1025-1038, 2009. 12. Hui-Yu Huang and Shih-Hsu Chang, “Block motion estimation based on search pattern and Predictor”, 2011 IEEE Symposium on Computational Intelligence for Multimedia, Signal and Vision Processing (CIMSIVP), pp 47-51. Abstract: The parameter optimization by means of the neural networks is the major attraction, which highlights the ease, precision and reduction in computational time for the designers of interest. The paper deals with the design of a probe fed rectangular Microstrip patch antenna for 2.4 GHz frequency. The analytical results for various conceivable dimensions and different dielectric values were intended without any structural complexities. To achieve an optimum value for the design parameters of the Microstrip antenna, Multilayer Perceptron Neural Network (MLP) and Back Propagation algorithm were implemented to train the network. The analytical results were tested by simulating with basic design software HFSS. The bid of artificial neural network ensures an optimal design methodology which is revealed when relating the results with analytical methods, results of the simulation software. Keywords: ANN, HFSS, Microstrip, nntool. 1. N.T. Markad, Dr. R.D. Kanphade, Dr. D. G. Wakade “Probe Feed Microstrip Patch Antenna Computer Aided Design Methology”, International Journal of Scientific & Engineering Research, Volume 3, Issue 6, June-2012, ISSN 2229-5518. 2. Rajeshkumar V, Priyadarshini K, Glory Devakirubai D, Ananthi C, Snekha P, ” Design and Comparative Study of Pin feed and Line feed Microstrip Patch Antenna for X-band Applications ”, International Journal of Applied Information Systems (IJAIS) – ISSN : 2249-0868. 3. Vilas Mapare, S. V. Mapare, “Non radiating edges Gap-Coupled Multiple Resonator Dual and Tri-Band Microstrip”, International Journal of Computer Applications (0975 – 8887) Volume 56– No.3, October 2012. 4. R. Malmathanraj, S. Thamarai Selvi “Artificial Neural Network application in Parameter Optimization of Rectangular Microstrip Patch Antenna”, Ubiquitous Computing and Communication Journal, volume 3, No.2, June 2011. 5. Gurdeep Singh, Jaget Singh, “Design of E-shape Microstrip Antenna and Parameters estimation using ANN – A review”, International Journal of Electronics and Computer Science Engineering, ISSN: 2277-1956. 6. Wilbert Sibanda, Philip Pretorius, “Novel Application of Multi-Layer Perceptrons (MLP) Neural Networks to Model HIV in South Africa using Seroprevalence Data from Antenatal Clinics”, International Journal of Computer Applications (0975 – 8887) Volume 35– No.5, December 2011. 7. Nurhan Turker, Filiz Gunes, Tulay Yildirim, “Artificial Neural Design of Microstrip Antennas”, Turk J Elec Engin, Vol.14, No.3, 2006. 8. Dr.K.Sri Rama Krishna, J.Lakshmi Narayana, Dr.L.Pratap Reddy, “ANN Models for Microstrip Line Synthesis and Analysis”, World Academy of Science, Engineering and Technology, 2008. Abstract: In this paper, we have proposed a method based on Block Truncation coding (BTC) for image compression. The existing Min-Max procedure based on BTC is enhanced to further improve the quality of the reconstructed images. Images are decoded using three quantization levels by extending the size of the bitplane. The three quantization levels being Minimum, Maximum and the average of both are preserved for each block. Experiments were carried over standard images like Lena, Cameraman, Boats, Bridge and Baboon. For all images, the proposed method outperforms the existing method in terms of PSNR values. Keywords: BTC, Image Compression, MinMax, Quantization Levels, Bitplane, PSNR. 3. David Solomon, Data Compression The Complete Refeference 2nd Edition,New York, Springer, 2001. 9. P.Franti, O.Nevalanien and T.Kaukoranta, "Compression Of Digital images using Block Truncation Coding: A Survey", The Computer Journal, Vol.37 issue 4, pp. 308-332, 1994. 10. M.D.Lema and O.R.Mitchell , "Absolute Moment Block Truncation Coding and its Application to Color images," IEEE Trans. On Communications, Vol.32, pp. 1148-1157, 1984. Abstract: Mobile agents are software which moves autonomously through a computer network with aim to perform some computation or gather information on behalf of its creator or an application. In the last several years, mobile agents have proved its numerous applications including e-commerce. In most applications, the security of mobile agents is a burning issue. This article presents comparison of different aspects of mobile code security, namely the protection of hosts receiving a malicious mobile code and the protection of a mobile code within a malicious host. Keywords: Security, Mobile agents, Mobile code, malicious host, Electronic commerce. 2. R. Wahbe, S. Lucco, T. E. Anderson, and S. L. Graham, “Efficient software-based fault isolation,” In Proceedings of the 14th ACM Symposium on Operating Systems Principles, pages 203--216, Dec. 1993. 3. D. Rubin and D. E. Geer, "Mobile code security," IEEE Internet Computing, 1998. 4. D. Chess, J. Morar, “Is Java still secure?,” IBM T.J. Watson Research Center, NY, 1998. 5. L. Gong, “Java Security Architecture (JDK1.2),” Technical Report, Sun Microsystems, Inc., 901 San Antonio Road, Palo Alto, California 94303, U.S.A, 1998. 6. Li Gong,”Secure java class loading,” IEEE Internet Computing, pages 56-61, 1998. 7. M. Hauswirth, C. Kerer, and R. Kurmanowytsch, “A secure execution framework for Java,” In Proceedings of the 7th ACM conference on computer and communications security (CCS 2000), pages 43--52, Athens, Greece, Nov. 2000. 1.2,” In Proceedings of the USENIX Symposium on Internet Technologies and Systems, Monterey, California, Dec. 1997. 14. P. Lee and G. Necula, “Research on Proof-Carrying Code on Mobile-Code Security,” In Proceedings of the Workshop on Foundations of Mobile Code Security, 1997. 15. S. Loureiro, R. Molva, and Y. Roudier, "Mobile Code Security," Institut Eurecom, 2001. 18. G. Wroblewski, “General Method of Program Code Obfuscation,” PhD Dissertation, Wroclaw University of Technology, Institute of Engineering Cybernetics, 2002, (under final revision). 19. F. Hohl, “Time Limited Blackbox Security: Protecting Mobile Agents from Malicious Hosts,” To appear in Mobile Agents and Security Book edited by Giovanni Vigna, published by Springer Verlag 1998. Proceedings of Crypto'2001, Lecture Notes in Computer Science, Vol. 2139, pages 1-18. 21. G. Hachez, “A Comparative Study of Software Protection Tools Suited for Ecommerce with Contributions to Software Watermarking and Smart Cards,” Universite Catholique de Louvain, 2003. 22. C. Collberg, C. Thomborson, and D. Low, “A taxonomy of obfuscating transformations,” Technical Report 148, Department of Computer Science, University of Auckland, July 1997. Abstract: Most of the VLSI circuits used adders as a crucial portion, since they form the base element of all arithmetic functions. Increasing demand for portable equipments requires area and power efficient VLSI circuits. This paper presents 4-2 compressor using two different 8T full adder designs. The aim of this paper is to reduce the power consumption of 4-2 compressor without compromising the speed and performance. All pre-layout and post-layout simulations have been performed at 45nm technology on Tanner EDA tool version 12.6 and compared in terms of power consumption, power-delay product (PDP) over various input voltages, temperatures and frequencies..
Keywords: 2T (2 transistors), 3T, 8T and PDP. 1. Ahmed M. Shams, Tarek K. Darwish and Magdy A. Bayoumi, “Performance Analysis of Low-Power1-Bit CMOS Full Adder Cells.” IEEE Transactions on Very Large Scale Integration (VLSI) System, Vol. 10, No. 1, 2002, pp. 20-29. 2. Fabio Frustaci et al, “Designing High-Speed Adders in Power-Constrained Environments,” IEEE Transactions on circuits and systems, Vol. 56, No. 2, 2009, pp. 172-176. 3. M. Alioto and G. Palumbo, “Analysis and comparison on full adder block in submicron technology,” IEEE Trans. Very Large Scale (VLSI) Syst., vol. 10, no. 6, 2002 pp. 806–823. 4. Sreehari Veeramachaneni et al, Novel Architectures for High-Speed and Low-Power 3-2, 4-2 and 5-2 Compressors,” International Conference on VLSI Design, IEEE, 2007. 5. Sung Mo Kang and Yusuf Leblebici, “CMOS digital integrated circuits-analysis and design,” 2003, Tata McGraw-Hill, third edition. 6. N. Weste and K. Eshraghian, “Principles of CMOS Digital Design, A System Perspective,” 1993, MA: Addison Wesley. 7. John P. Uyemura, “Introduction to VLSI Circuits and Systems,” 2002, John Wiley and Sons, Inc.
8. D. Radhakrishnan, A.P. Preethy, “Low Power CMOS Pass Logic 4-2 Compressor for High-Speed Multiplication,” Proc. IEEE Midwest Symp. on Circuits and Systems, 2000, pp. 1-3. 9. Chip-Hong Chang, Jiangmin Gu and Mingyan Zhang, “Ultra Low-Voltage Low-Power CMOS 4-2 and 5-2 Compressors for Fast Arithmetic Circuits,” IEEE Transactions on circuits and systems, Vol. 51, No. 10, 2004, pp. 1985-1997. 10. Manoj Kumar, Sandeep K. Arya, Sujata Pandey, “Single bit full adder design using 8 transistors with novel 3 transistors XNOR gate,” International Journal of VLSI design & Communication Systems, Vol. 2, 2011, pp. 47-59. 11. Riya Garg, Suman Nehra, and B. P. Singh, “1-bit Full Adder using 9T Structure,” International Conference on Technical and Executive Innovation in Computing and Communication (TEICC), 2012, pp. 560-564. 12. Riya Garg, Suman Nehra, and B. P. Singh, “Low Power Full Adder using 9T Structure,” International Journal on Recent Trends in Engineering and Technology, Vol. 8, No. 2, 2013, pp. 52-55. 13. Riya Garg, Suman Nehra and B P Singh, “A New Design of Full Adder based on XNOR-XOR Circuit”, International Journal of Computer Applications Vol. 66 No. 13, 2013, pp. 7-10.